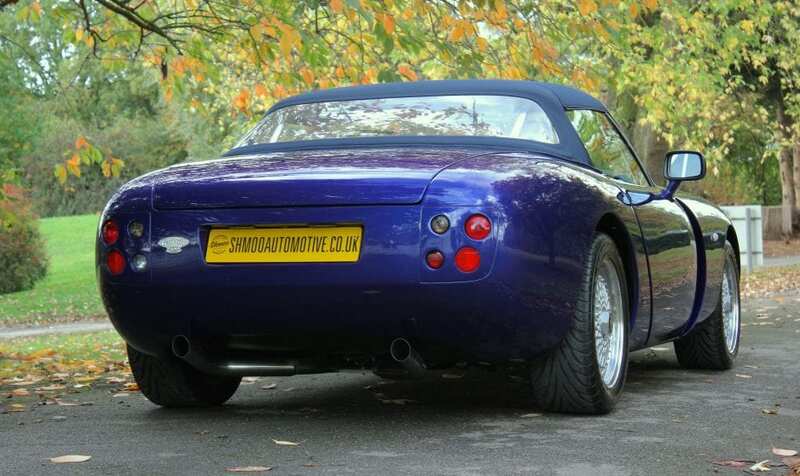 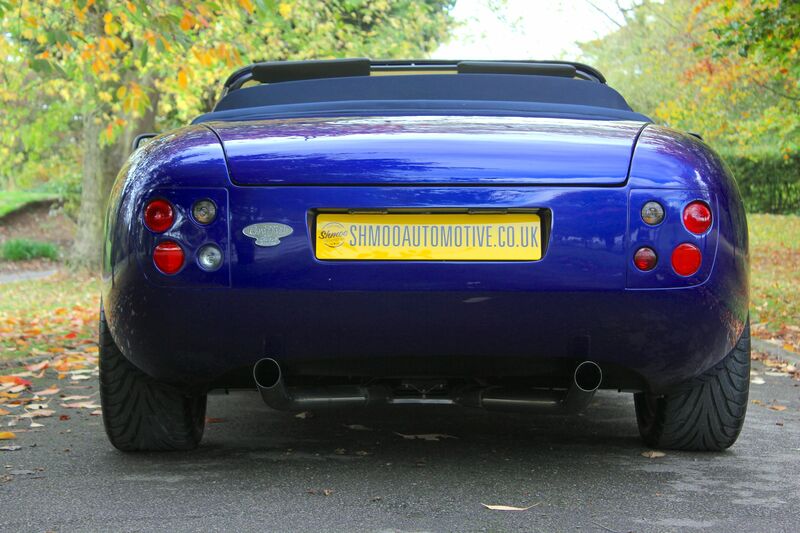 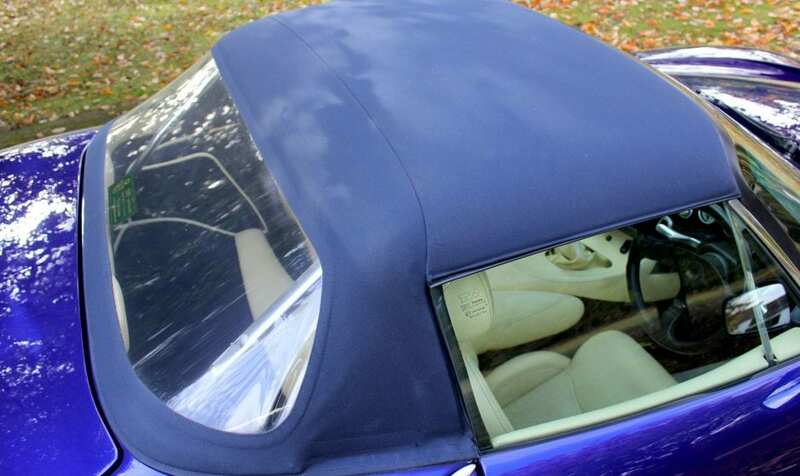 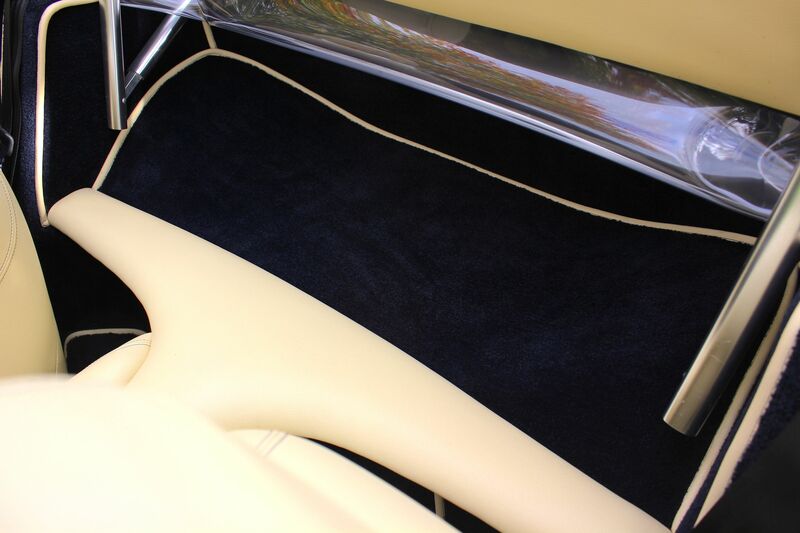 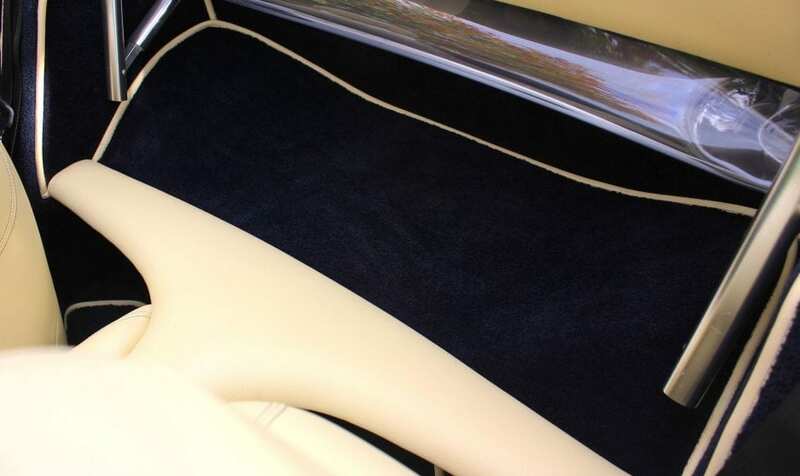 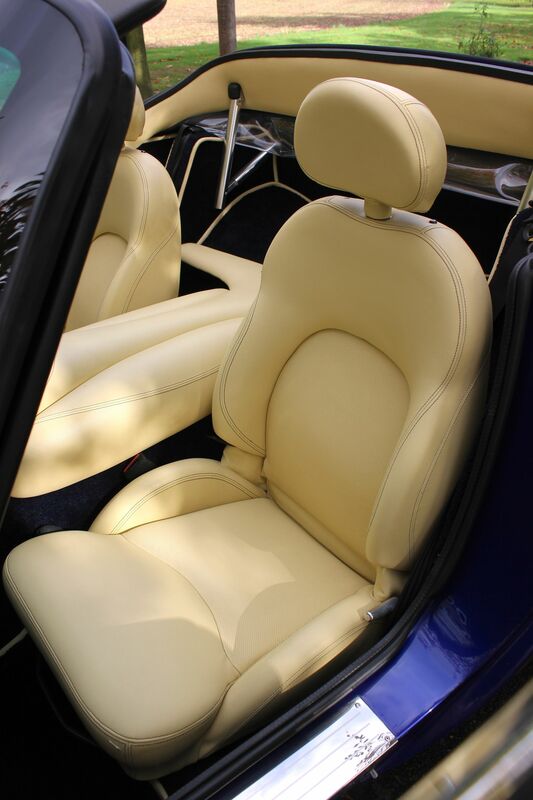 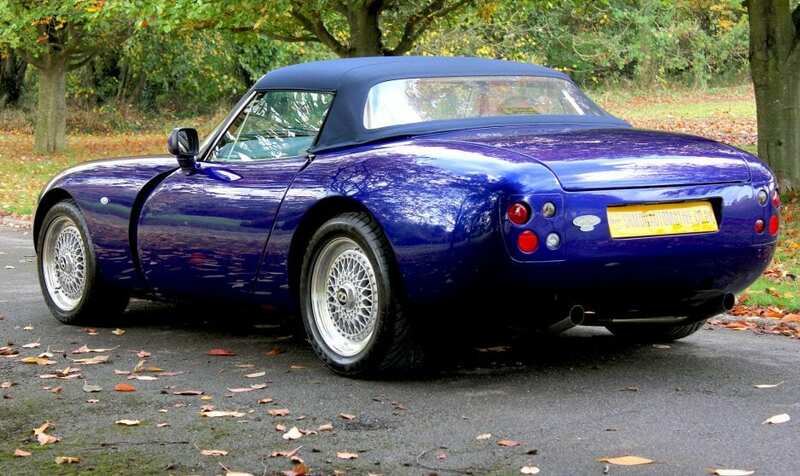 Griffith 500SE, the car in Imperial blue with magnolia leather trim and is No 90 of the SE’s and is one of only 3 registered in 2003 on an 03 plate, and possibly the very last SE to be registered. 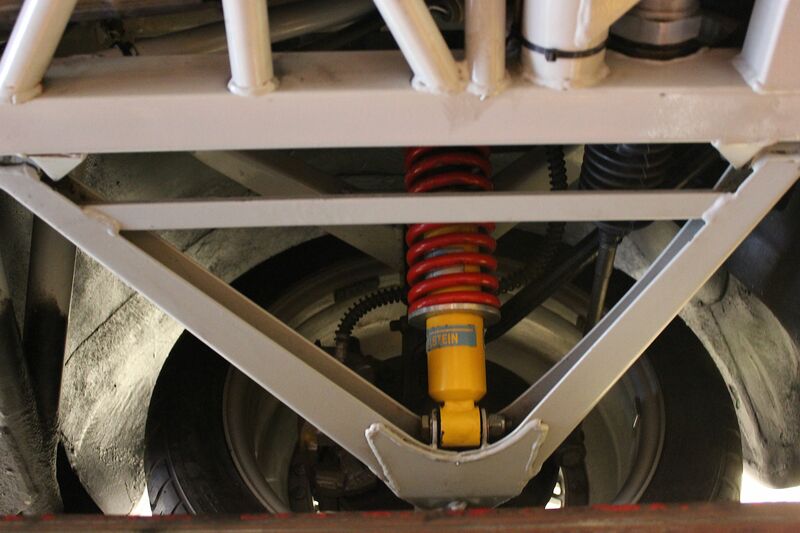 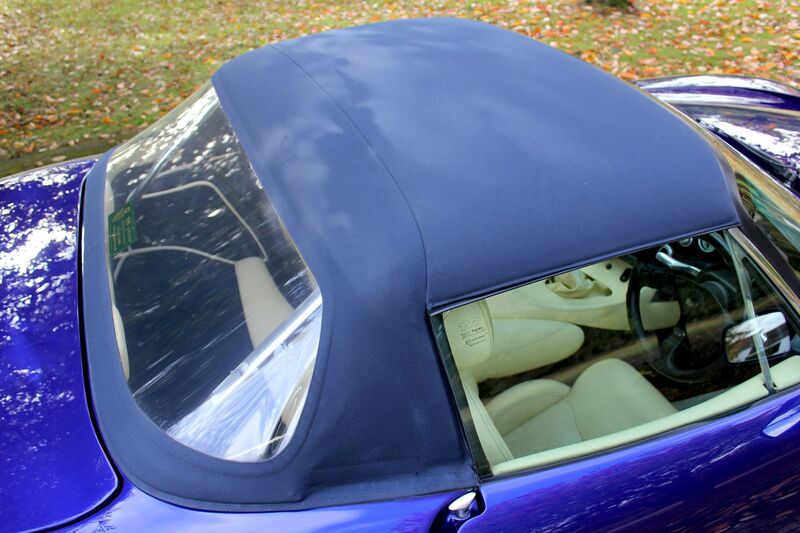 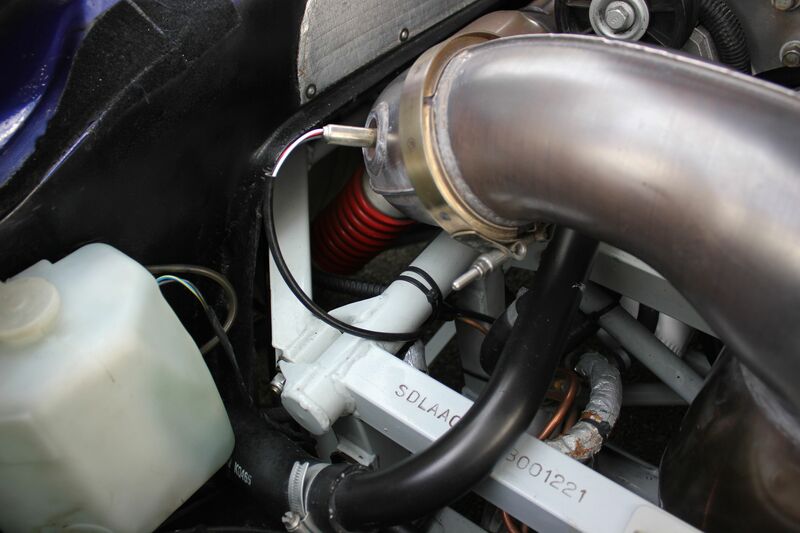 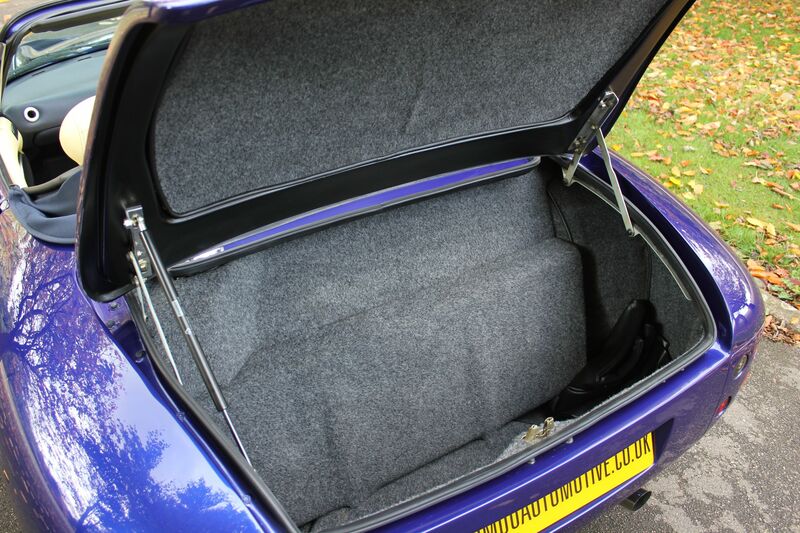 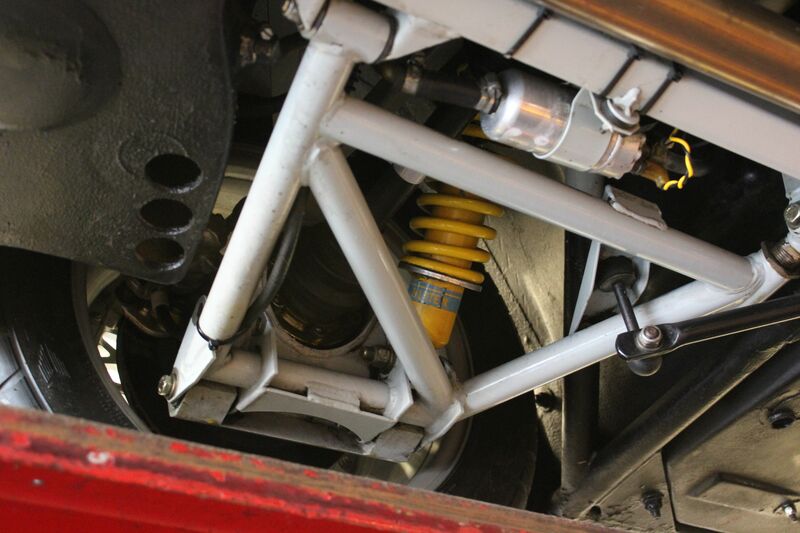 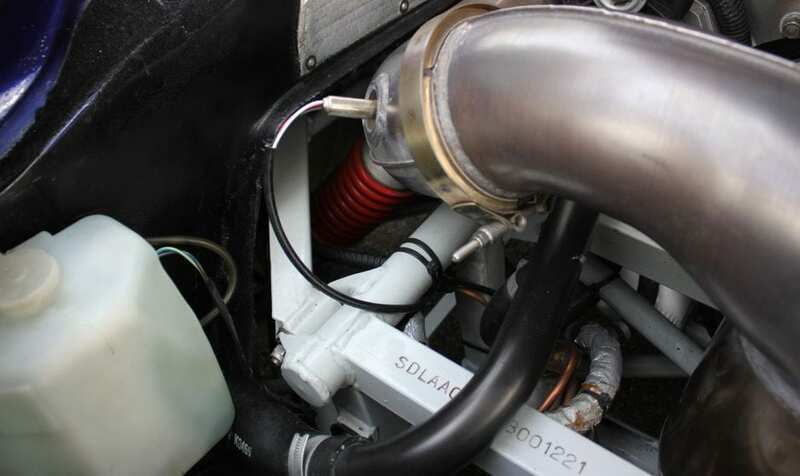 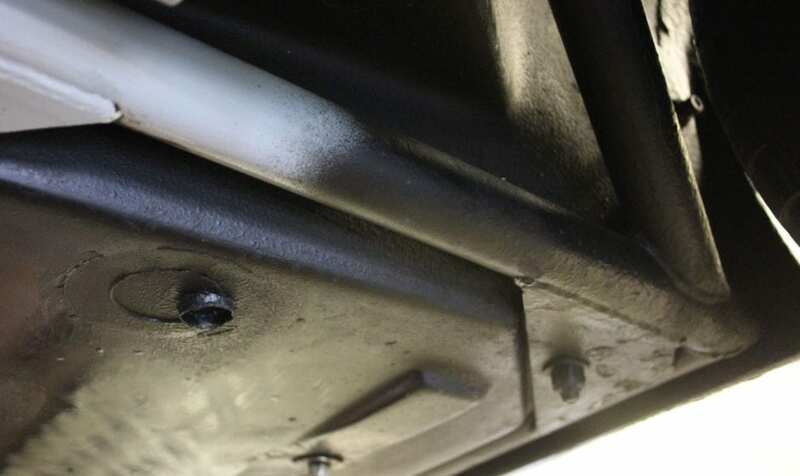 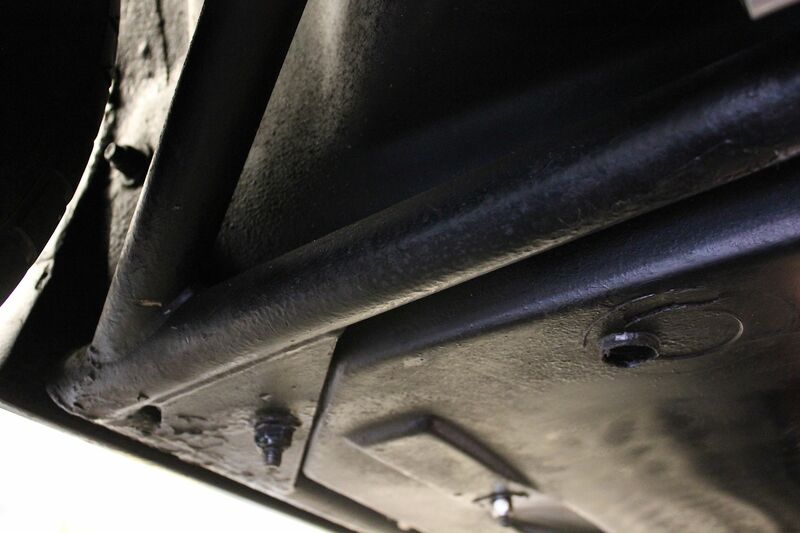 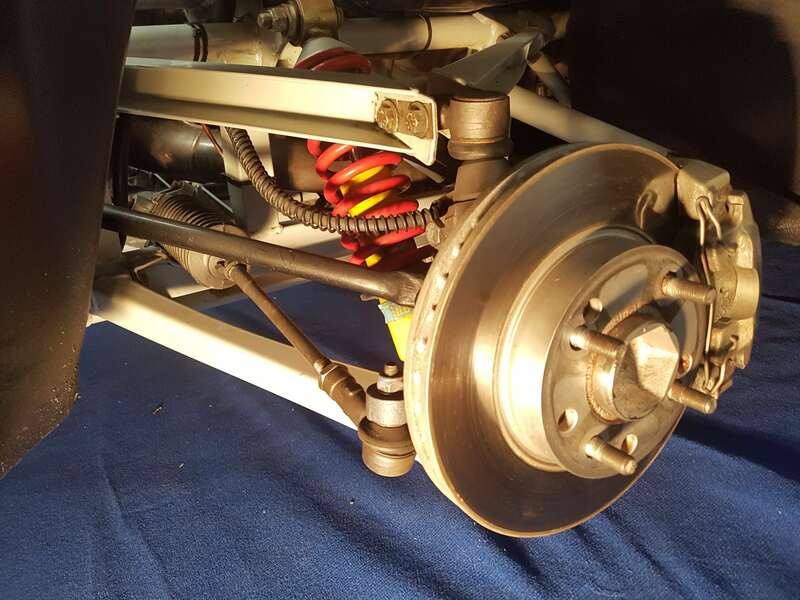 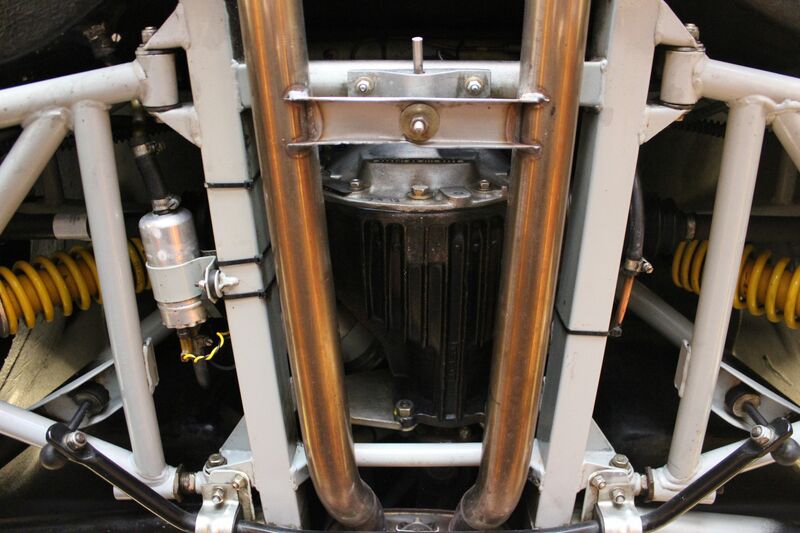 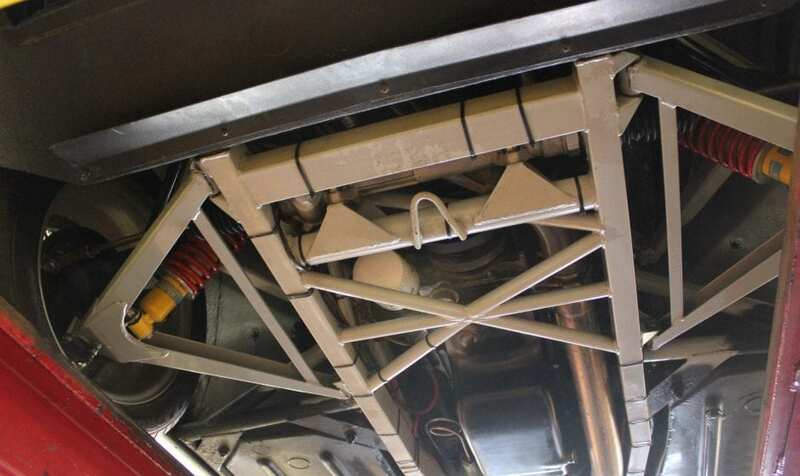 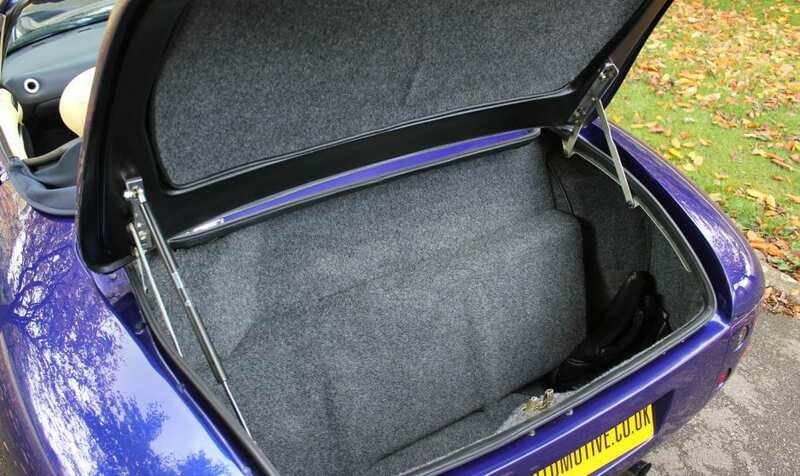 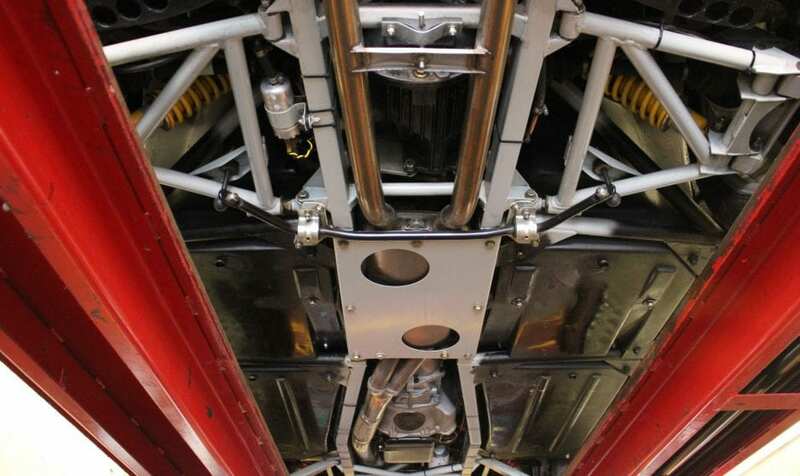 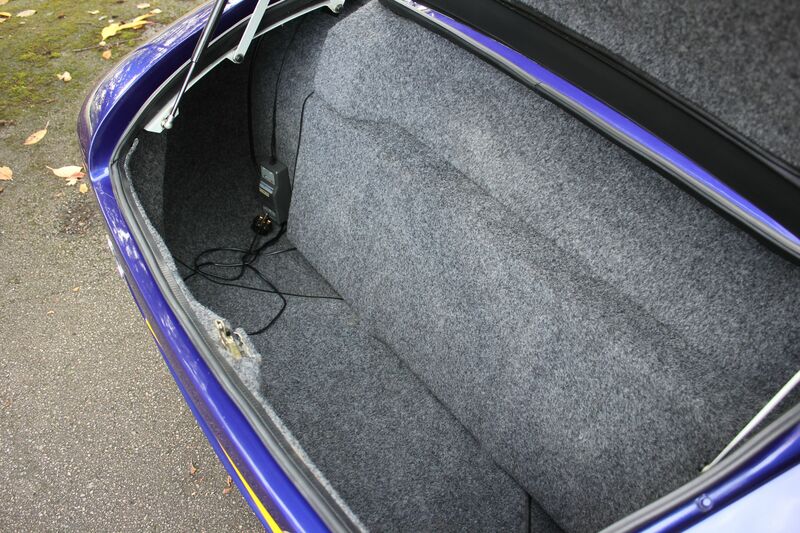 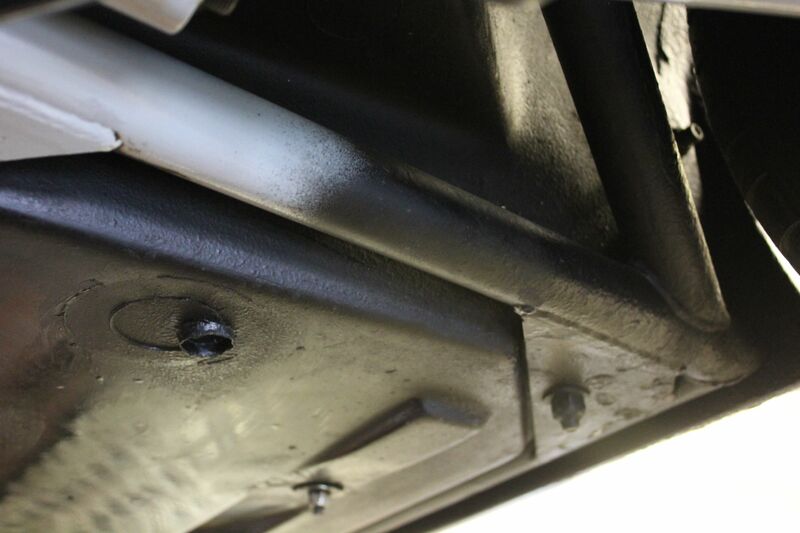 The car has covered less than 5,600 miles and has been kept in as new/ concourse condition. And hence is a time warp, as near as you can get to a new – ‘as it left the factory’ car. 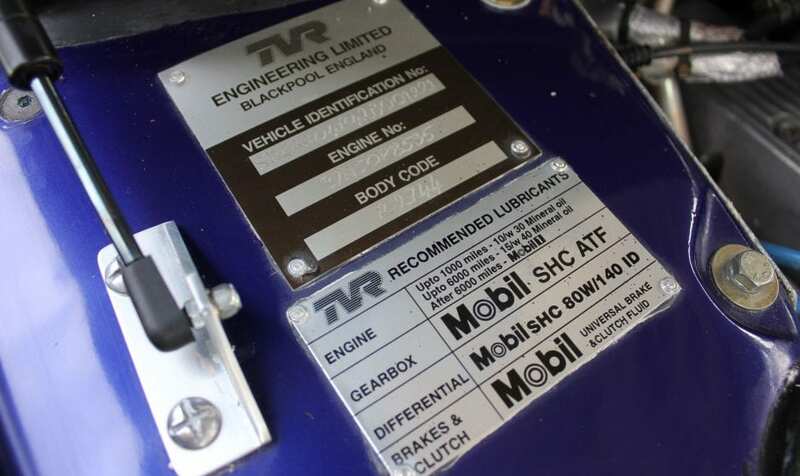 The paint, interior, wheels, engine and underside are all stunning, with many of the paper stickers still on components and paint/felt pen ‘build check’ markings still there on chassis components. 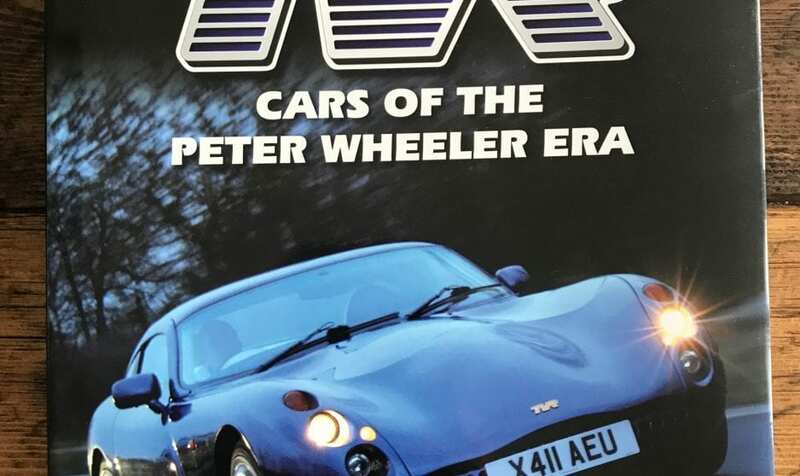 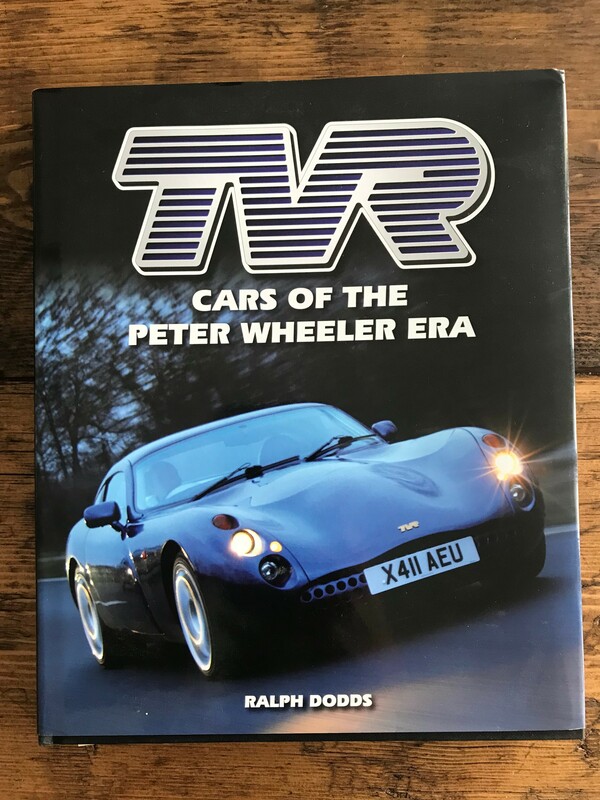 The car was placed second overall at the TVRCC 50th anniversary concourse event at Millbrook and is featured in Ralph Dodds Book Cars of the Peter Wheeler Era. 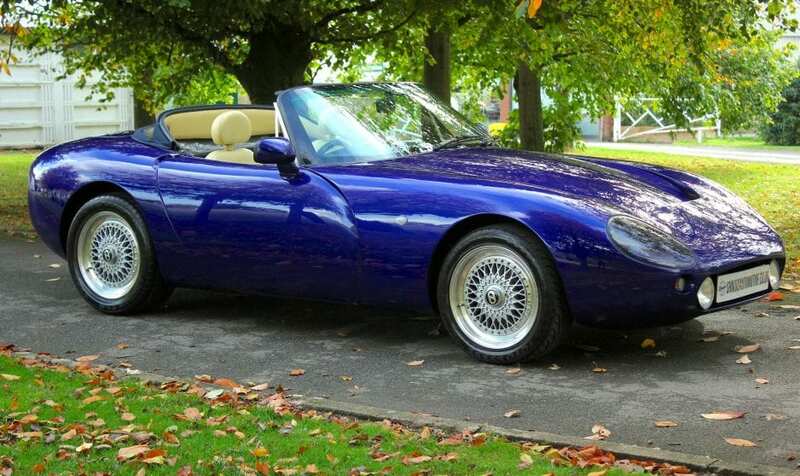 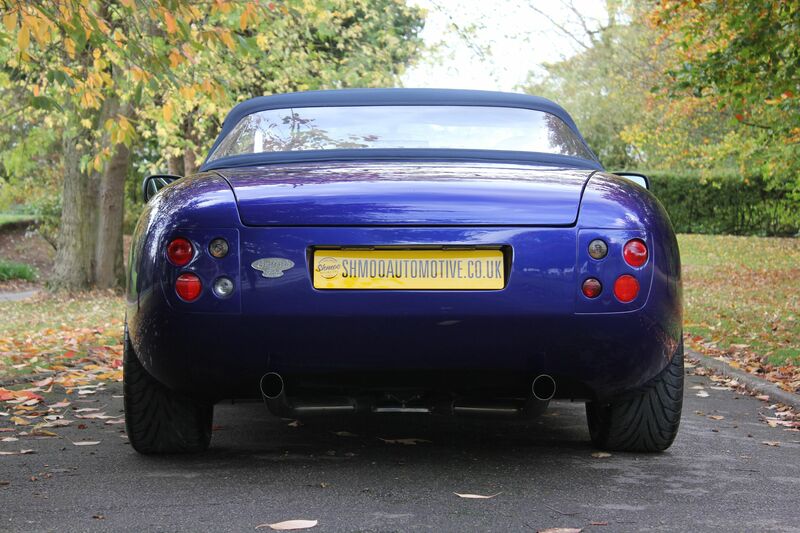 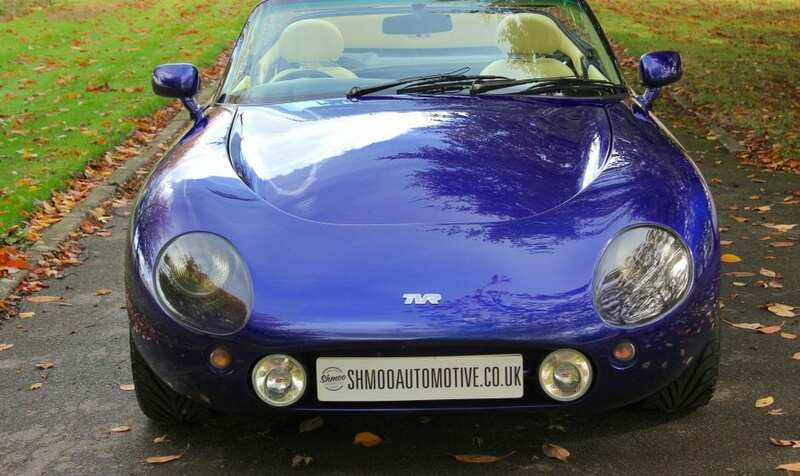 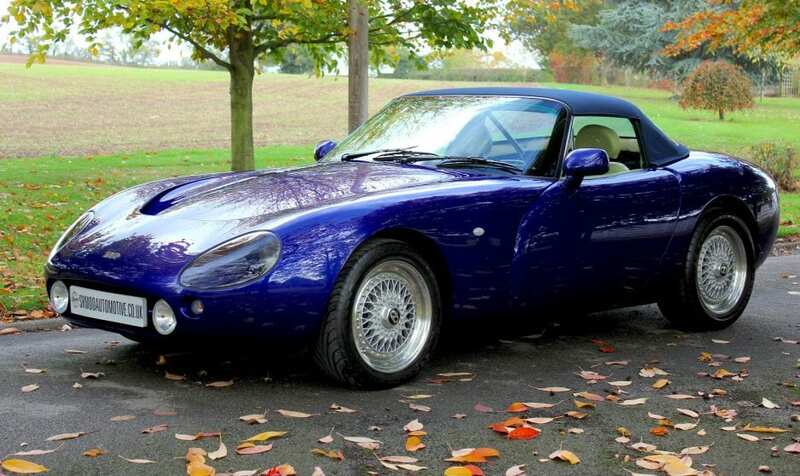 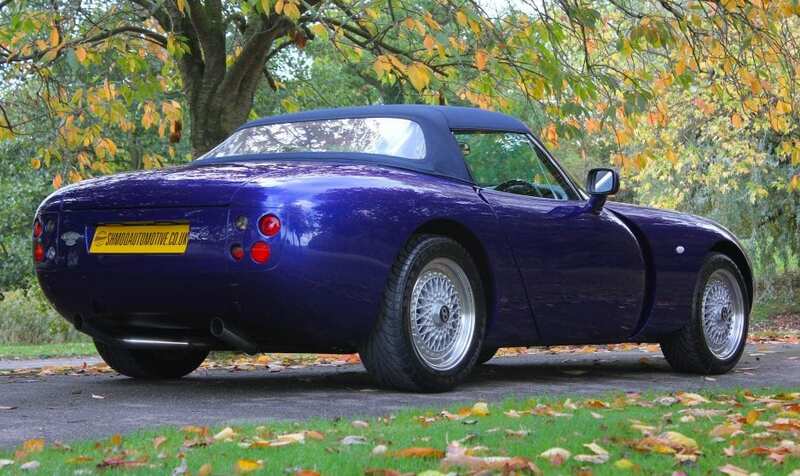 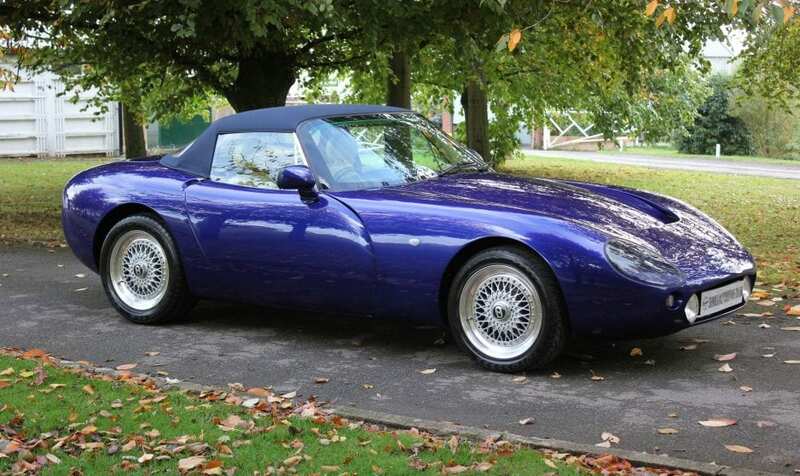 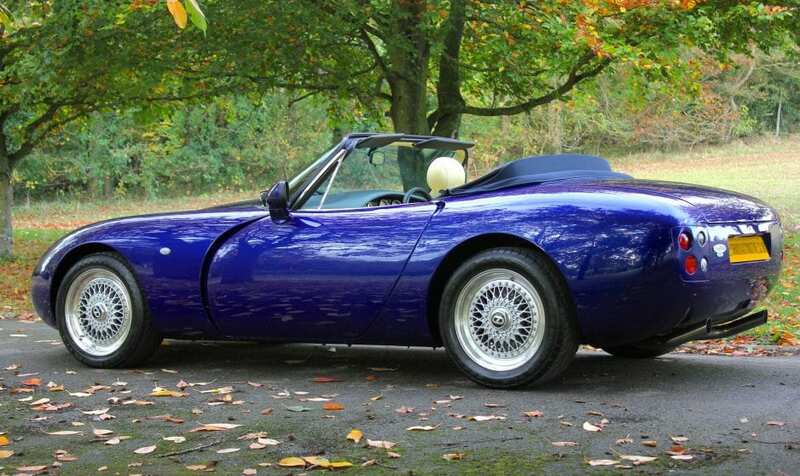 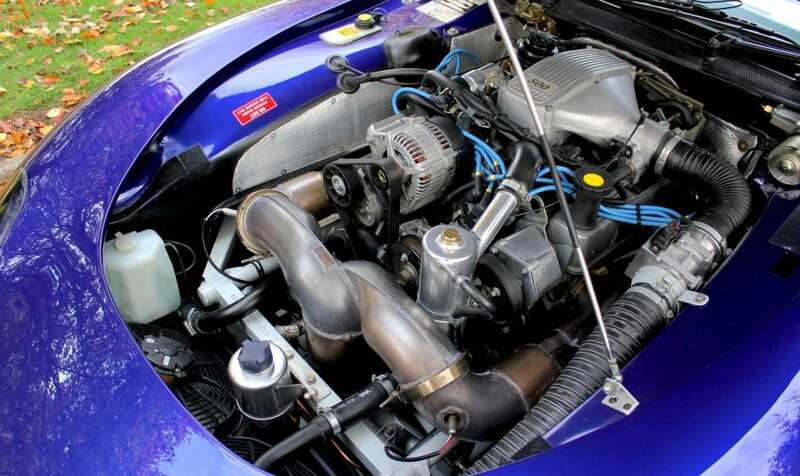 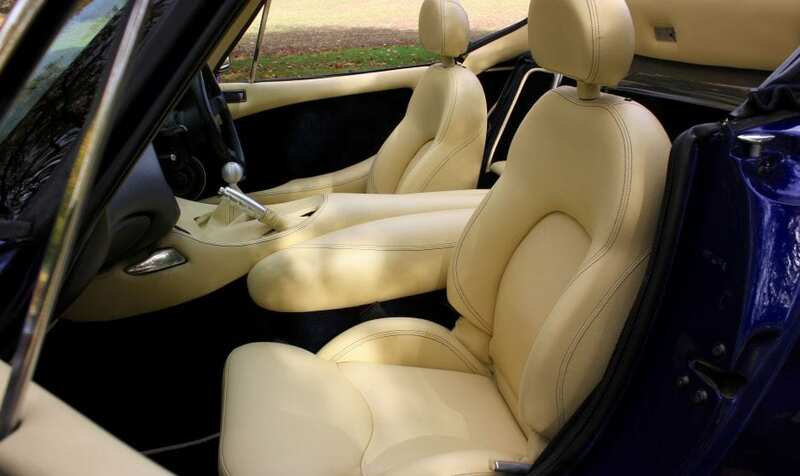 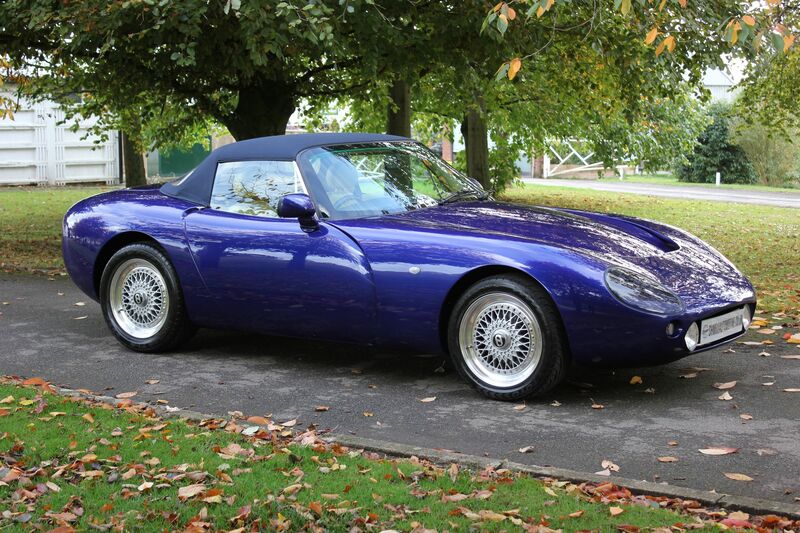 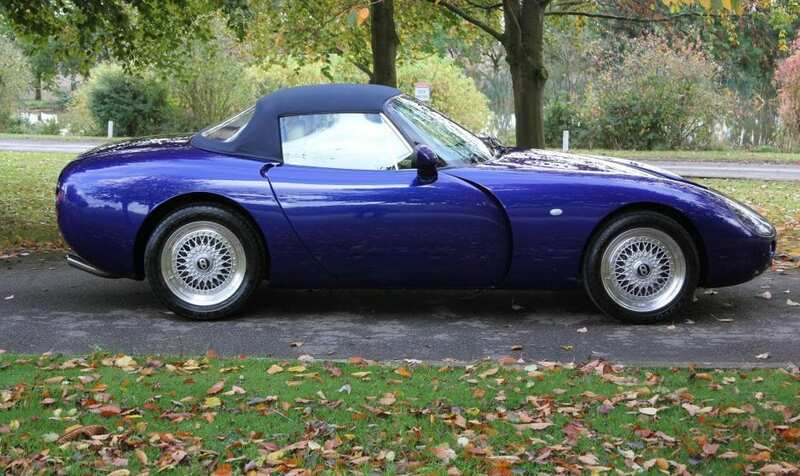 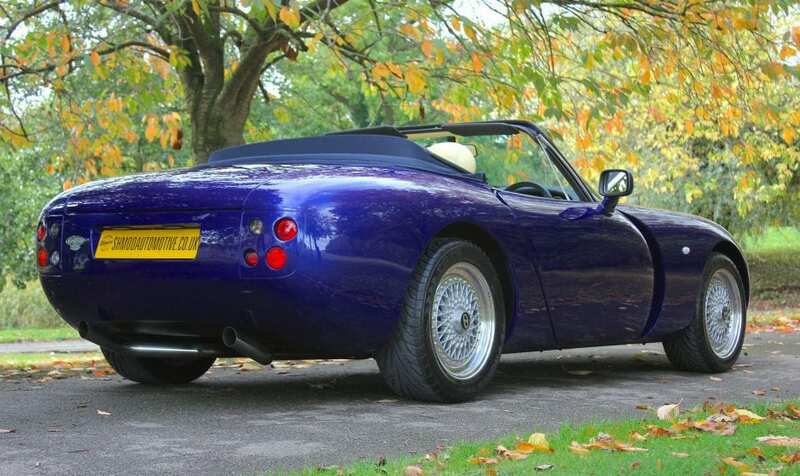 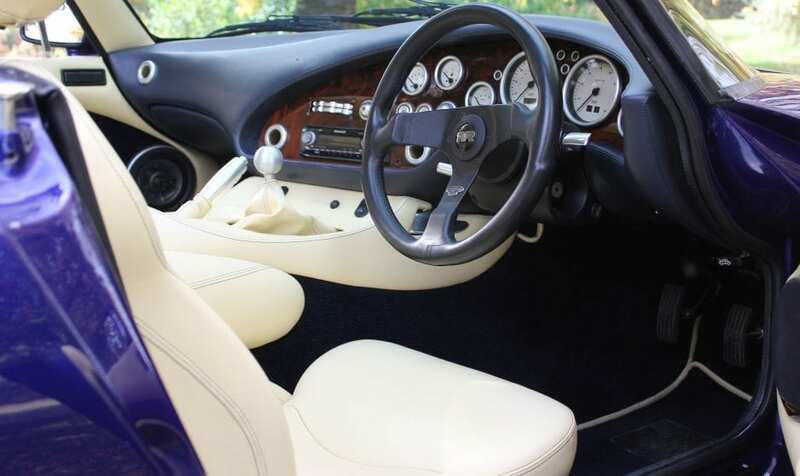 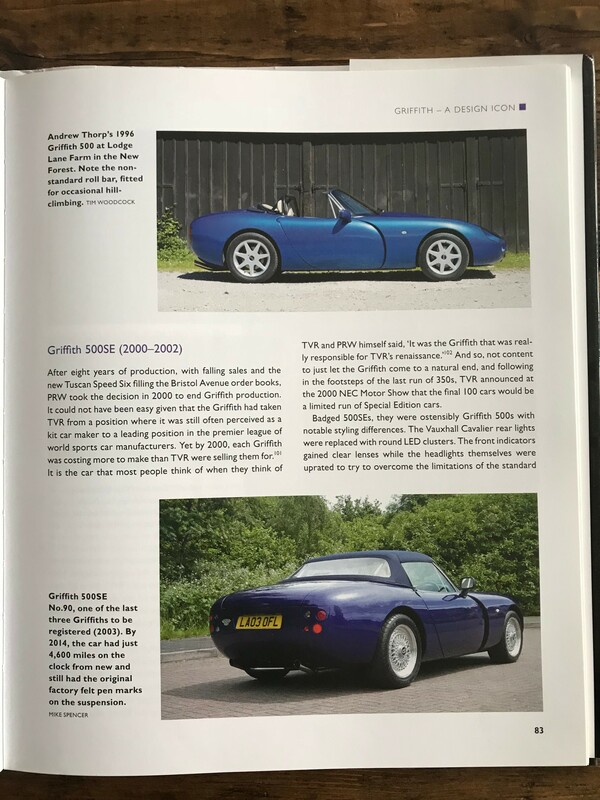 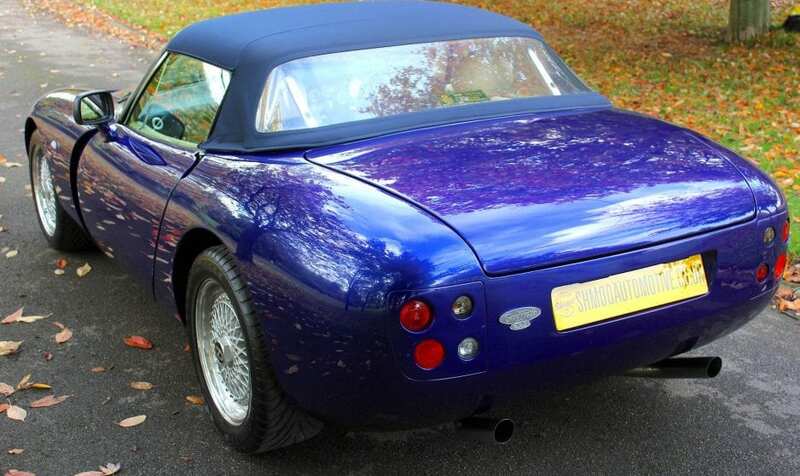 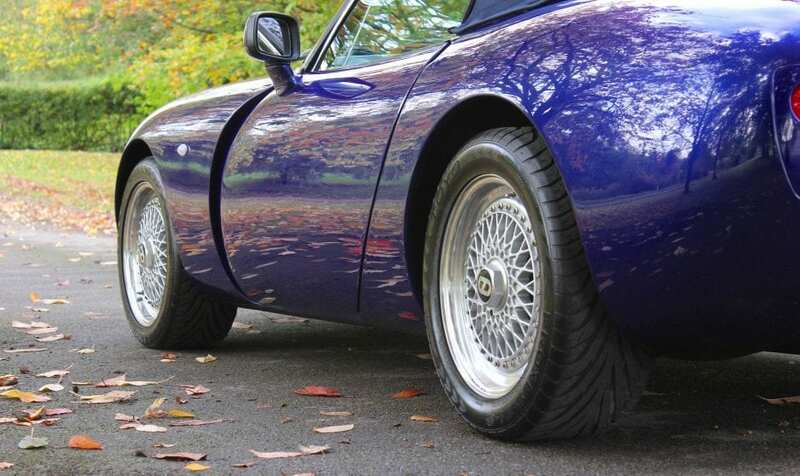 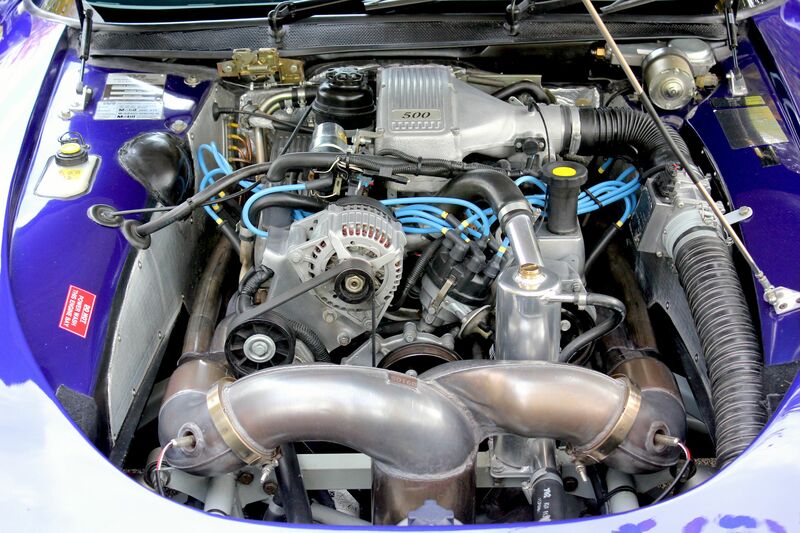 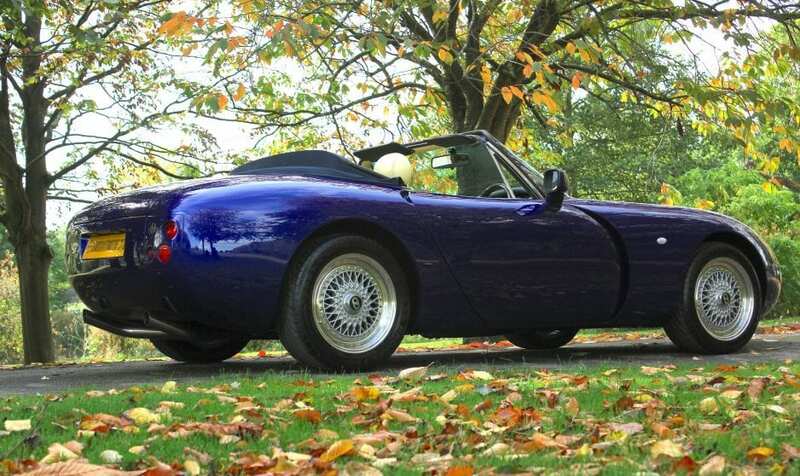 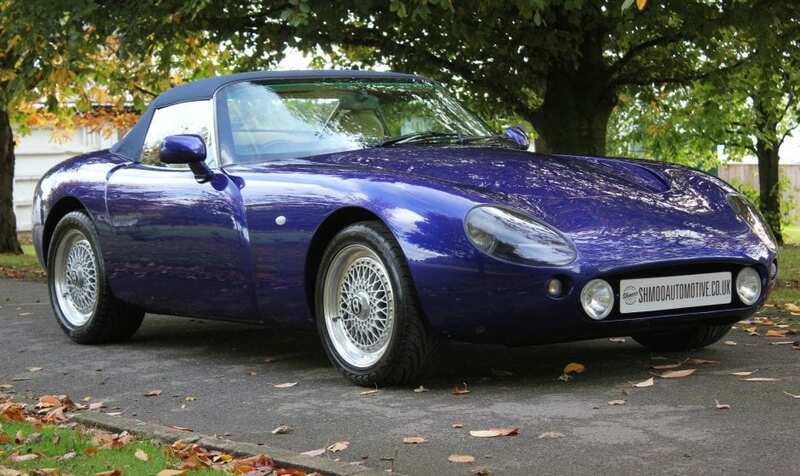 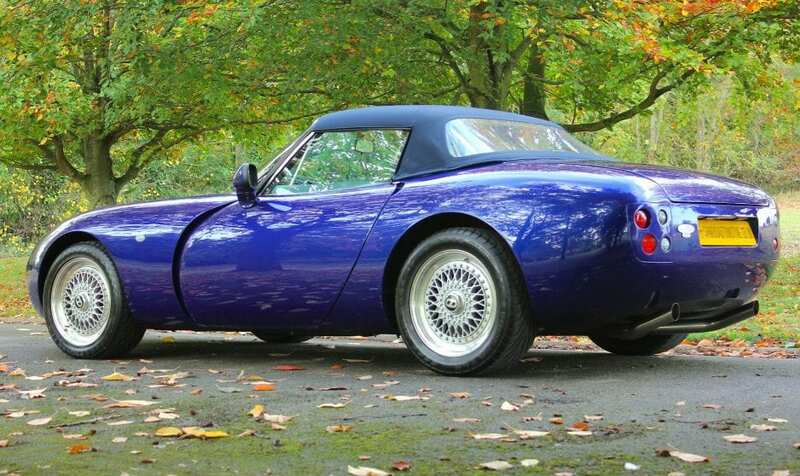 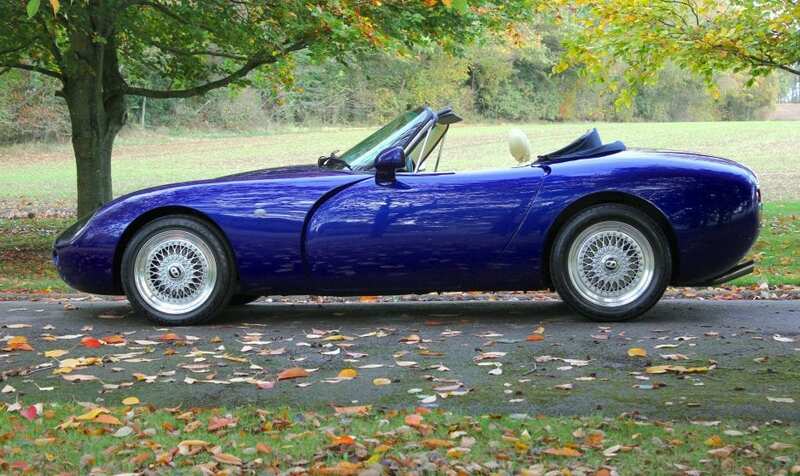 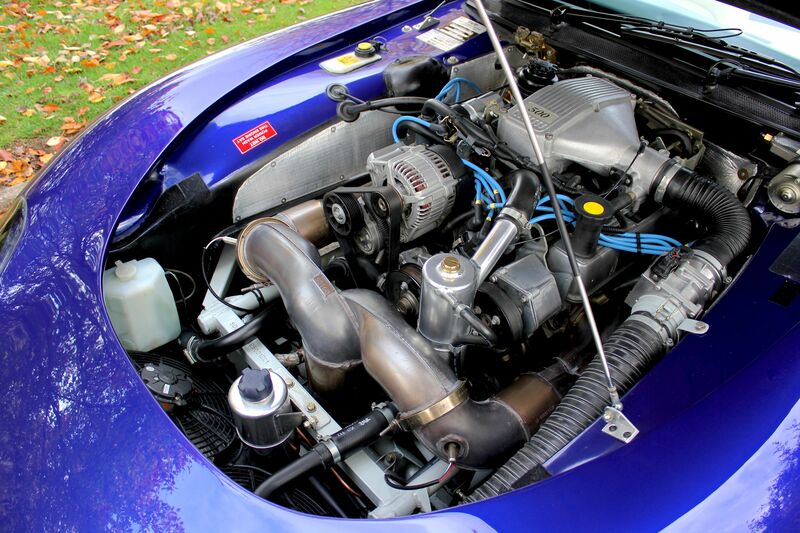 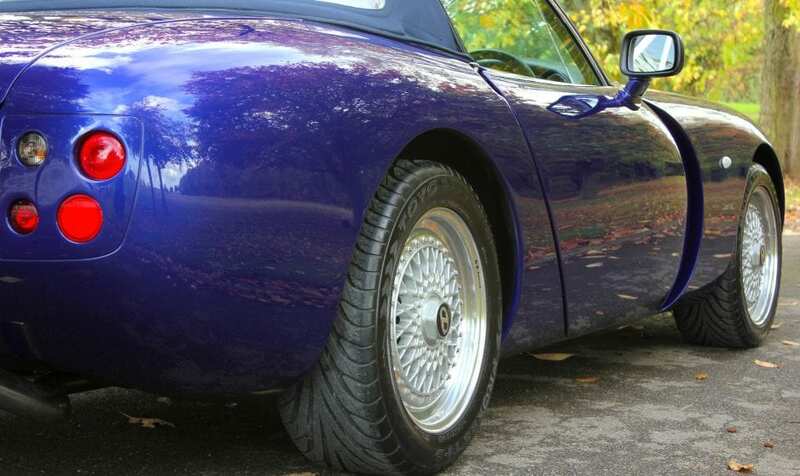 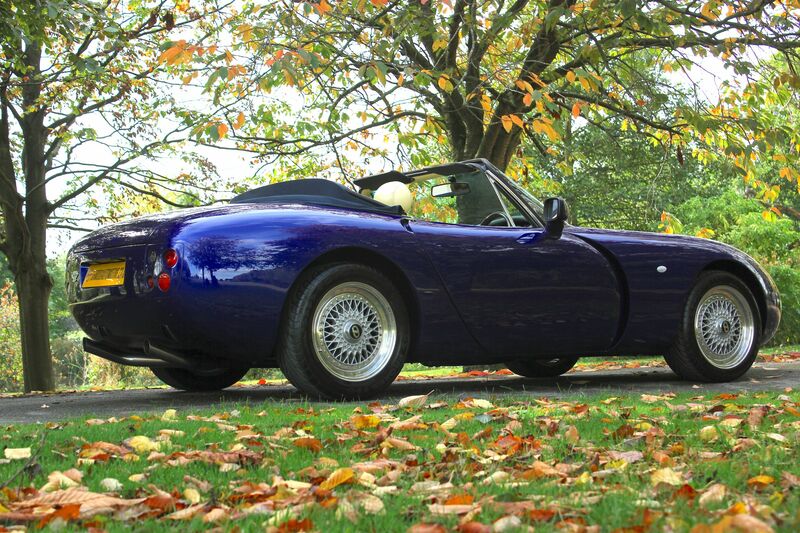 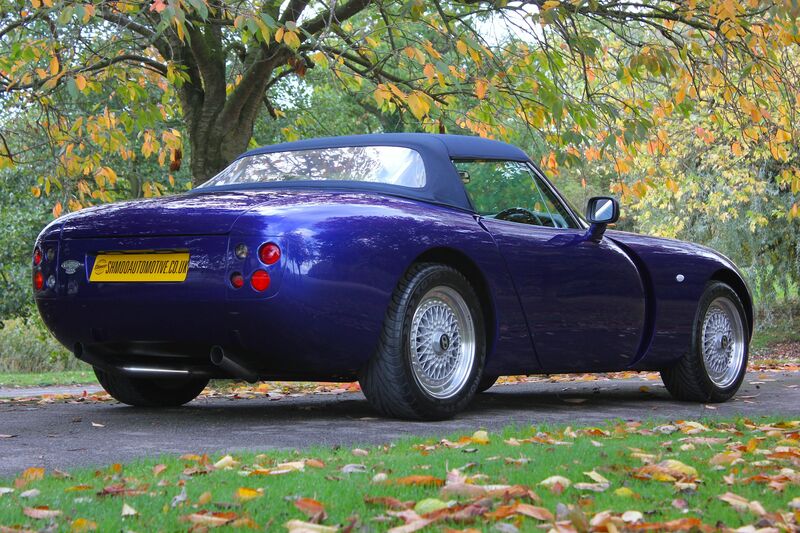 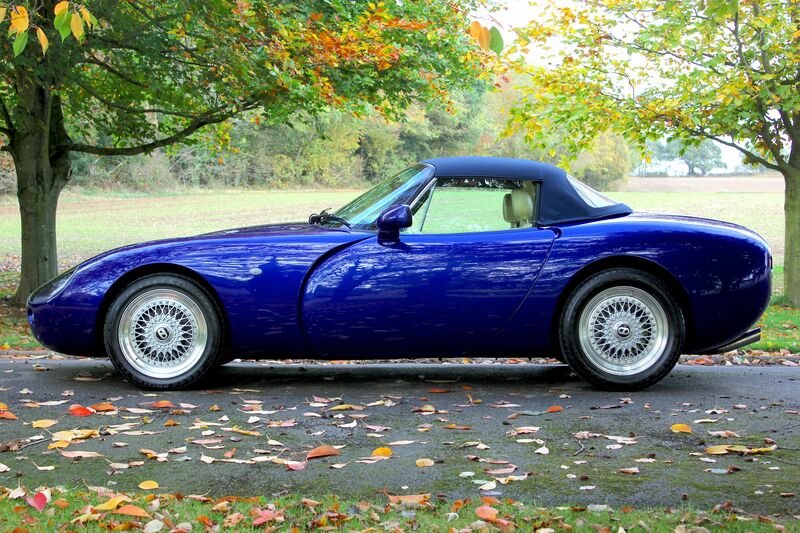 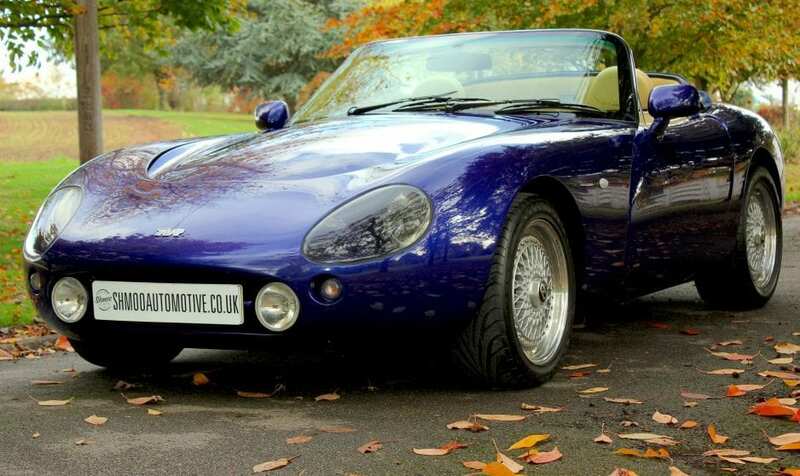 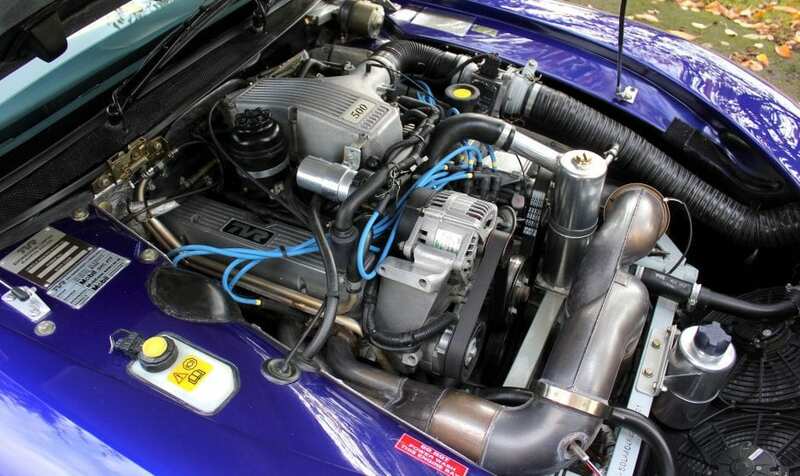 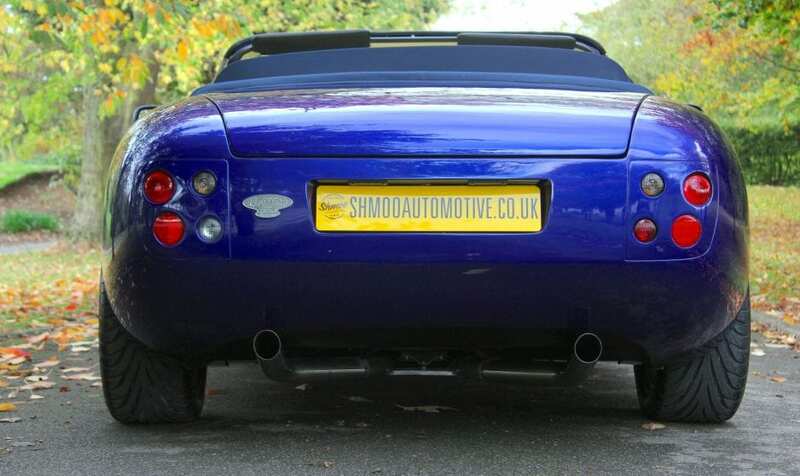 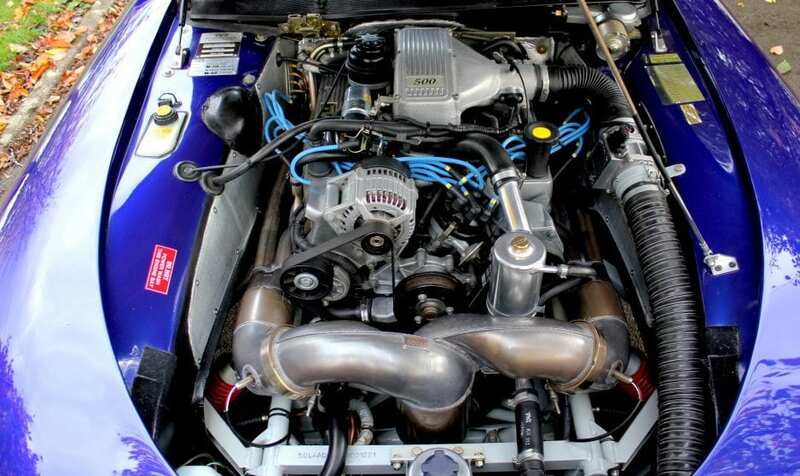 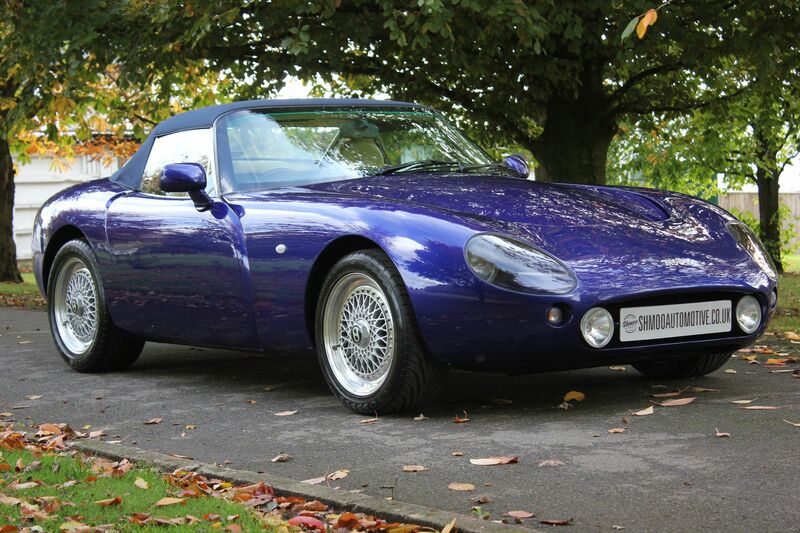 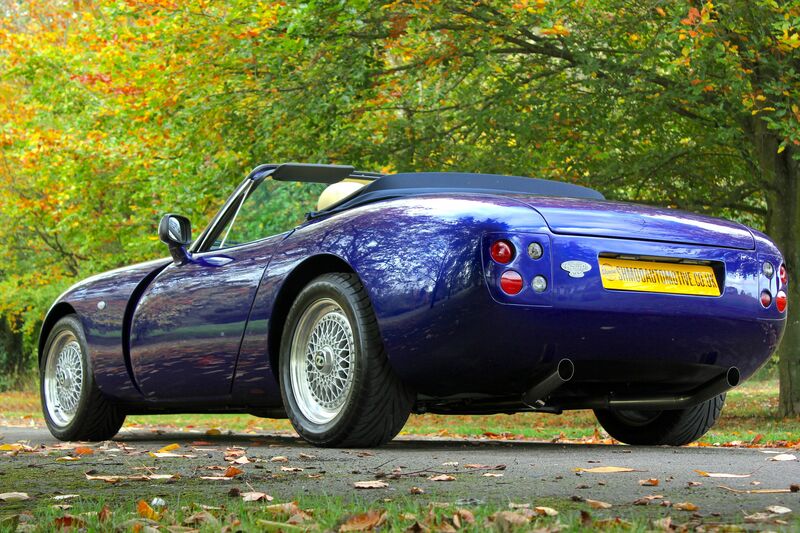 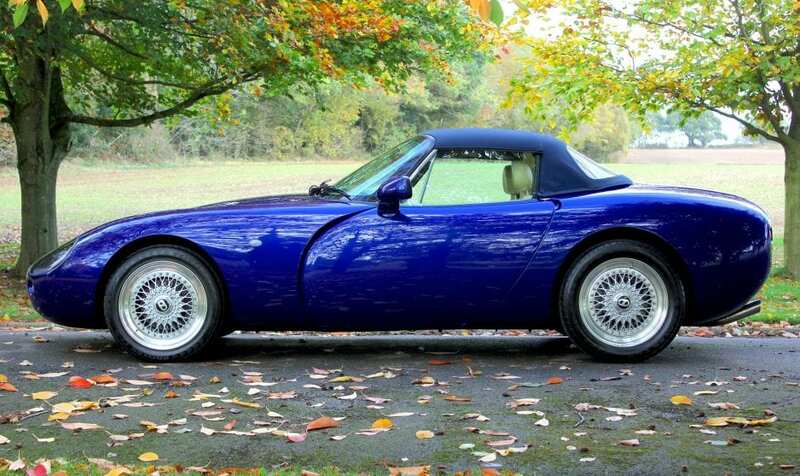 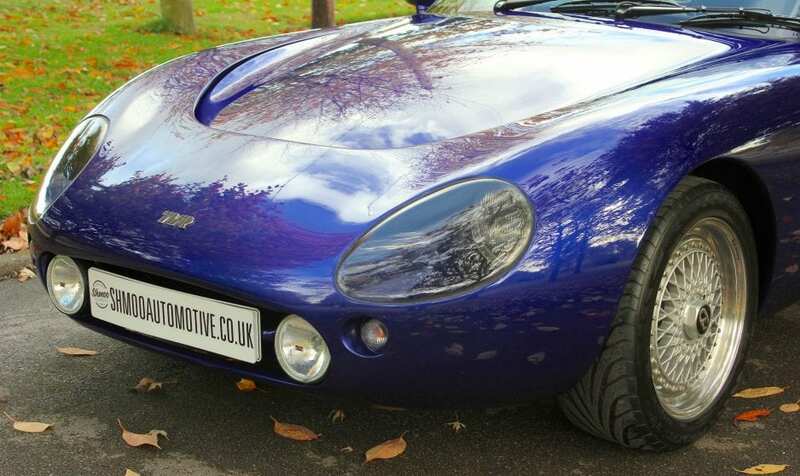 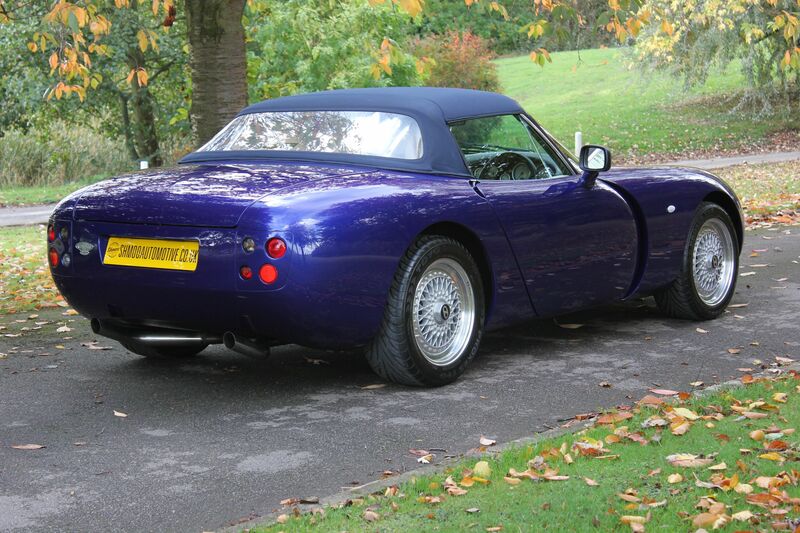 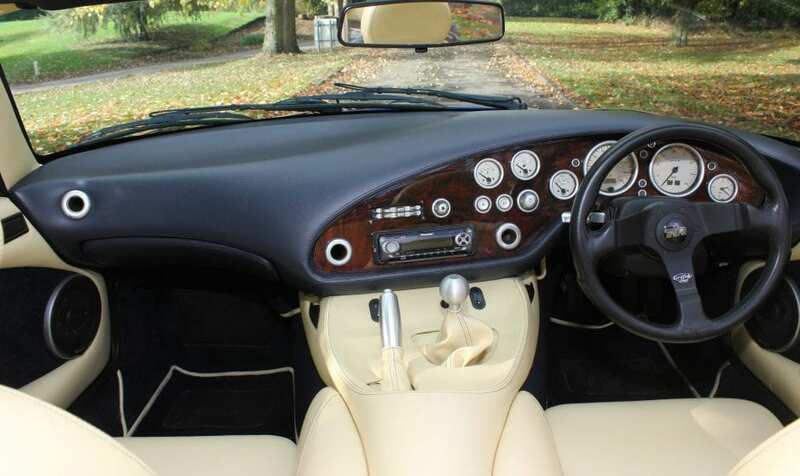 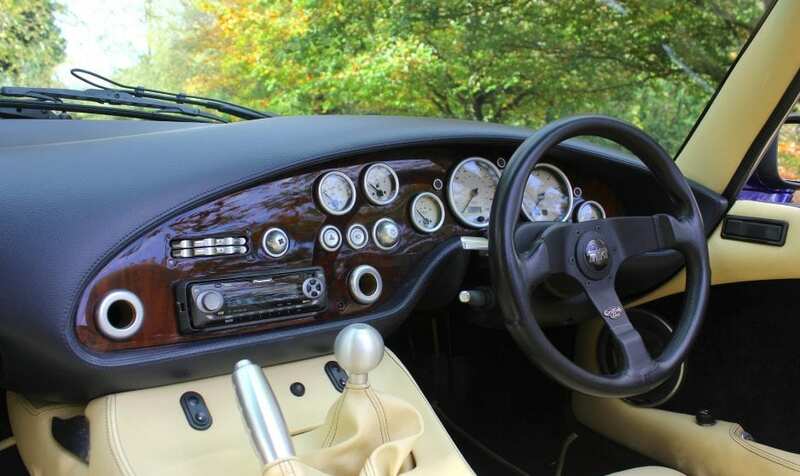 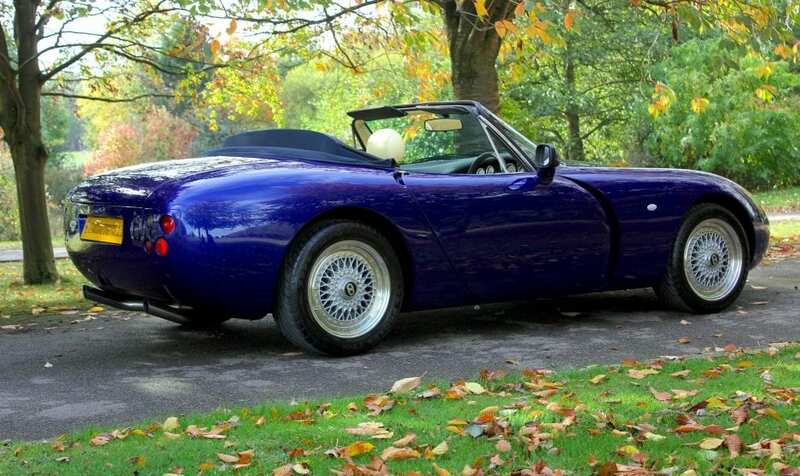 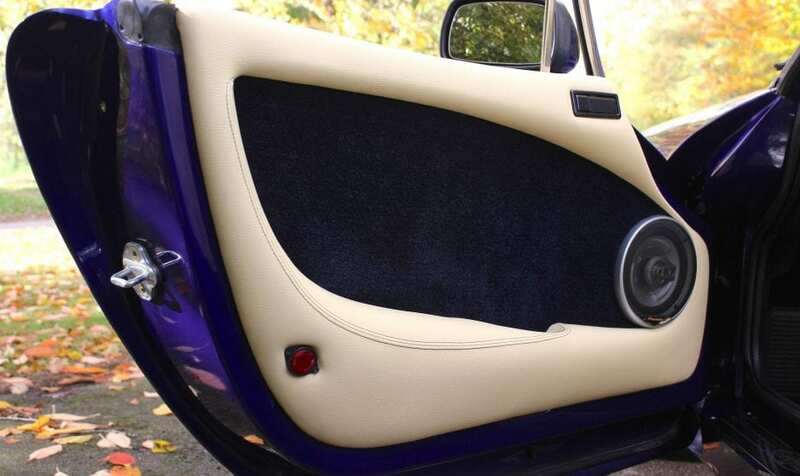 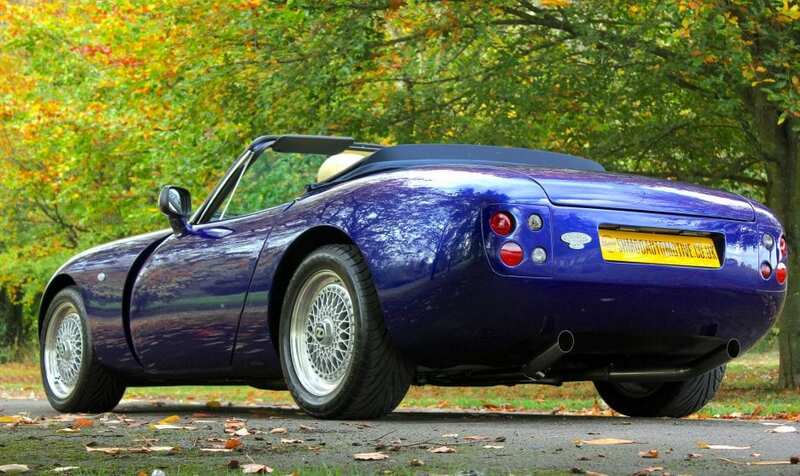 The car has been displayed at several TVR shows and events and is considered to be one of the best.. if not the best Griffith in the country and is well known in the Griff community. 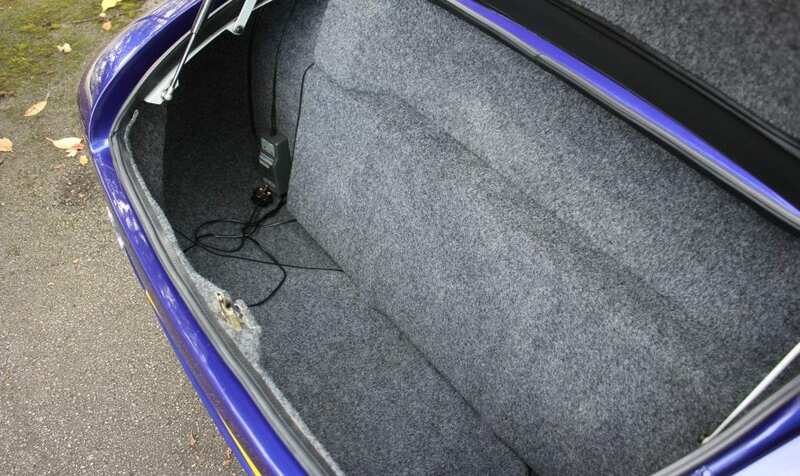 Needless to say, the car drives and still smells like a new one. 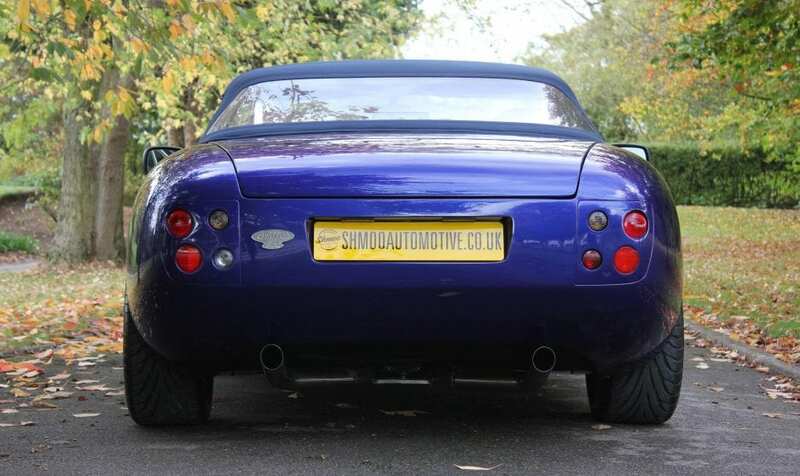 The car has not been stored away and now dragged out to be sold, It has been exercised every year mainly just to shows and back MOTed every year and serviced in several cases with less than 100 miles between services. 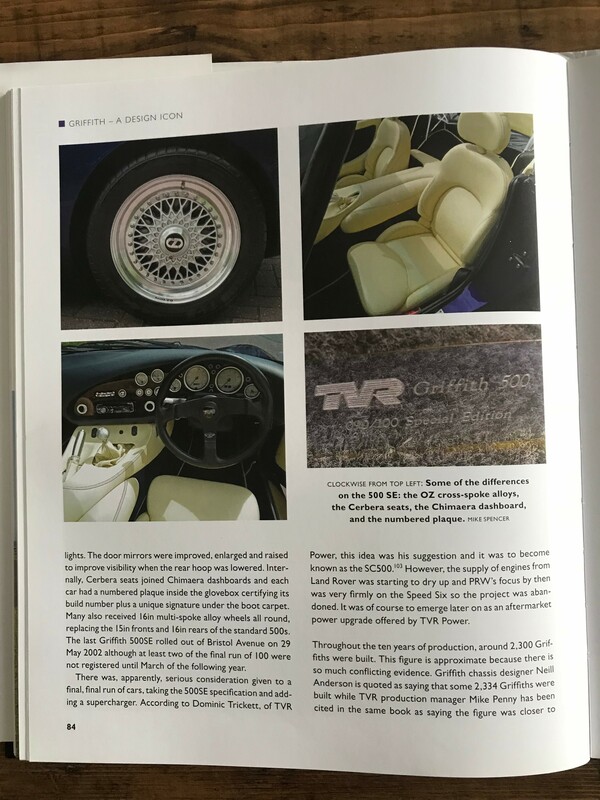 There is a very comprehensive history (2 files full) both sets of keys, and the purple leather service book are with the car. 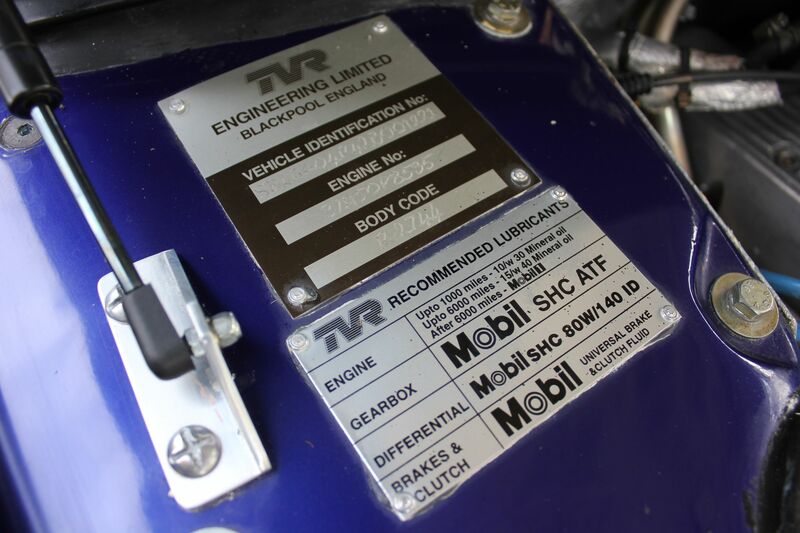 The car has been serviced regularly there are 12 stamps in the book over the 15 years, details below. 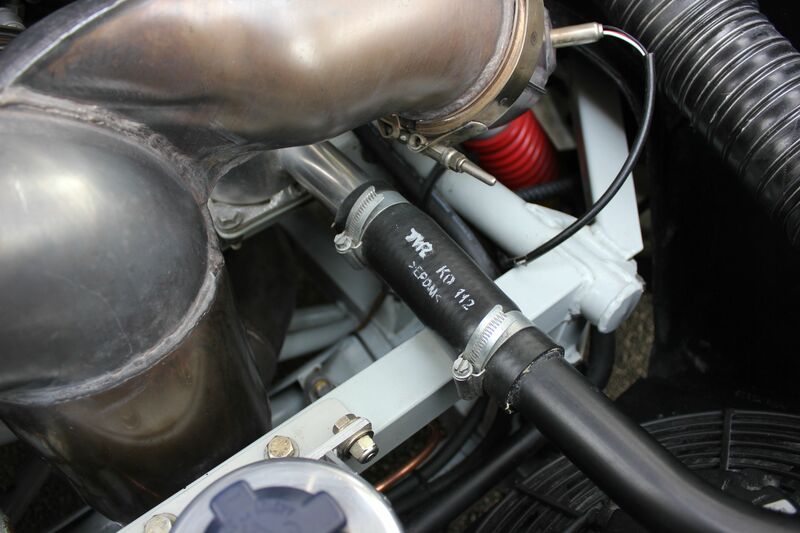 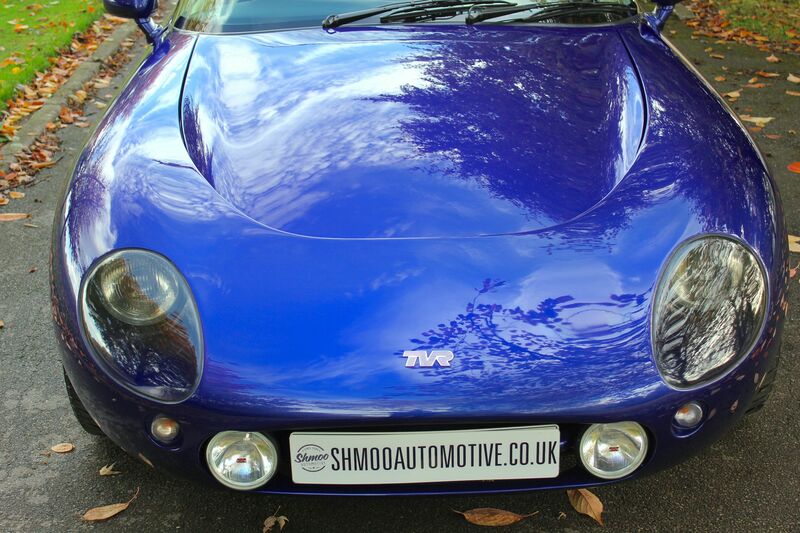 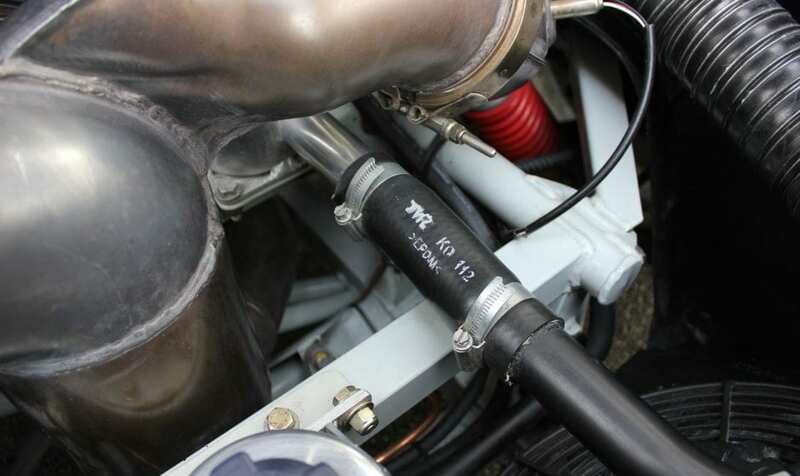 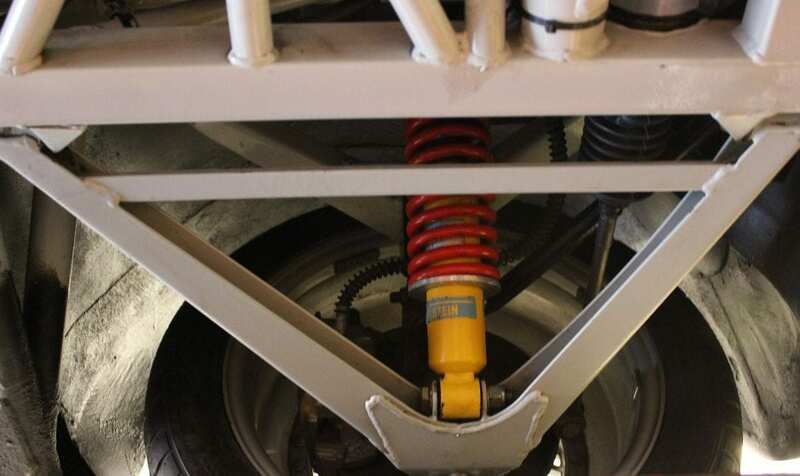 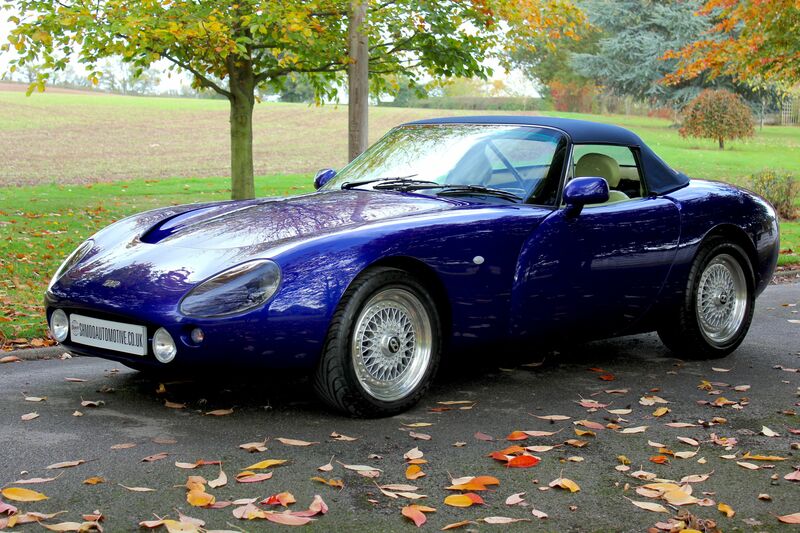 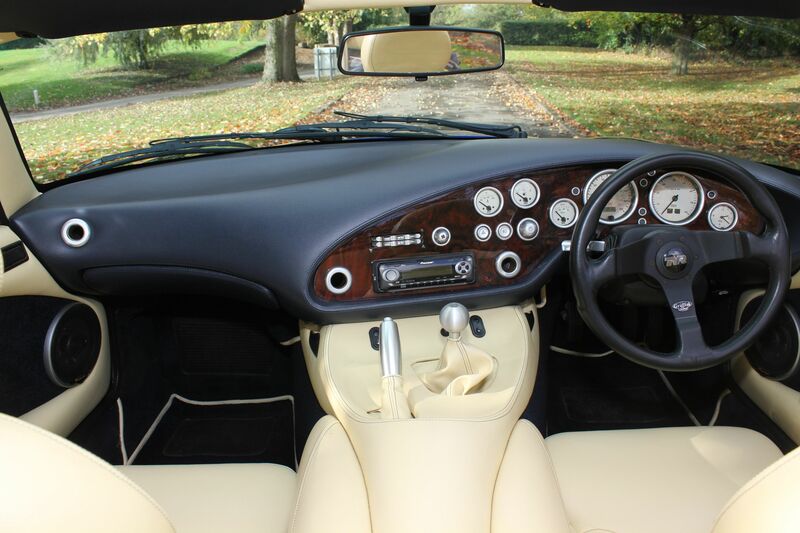 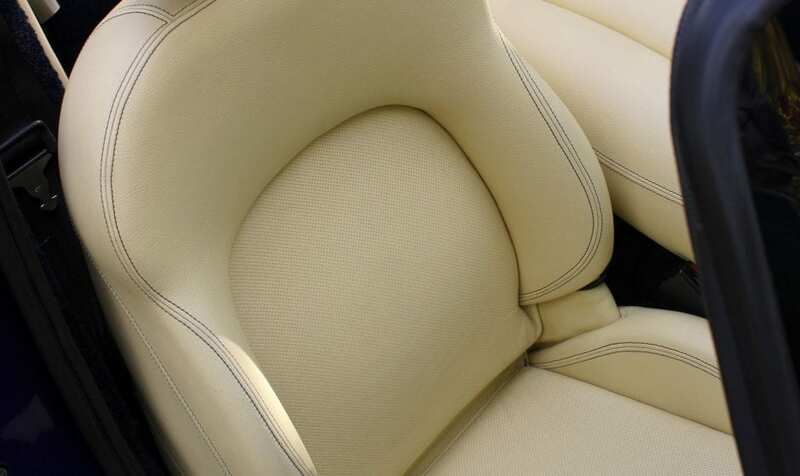 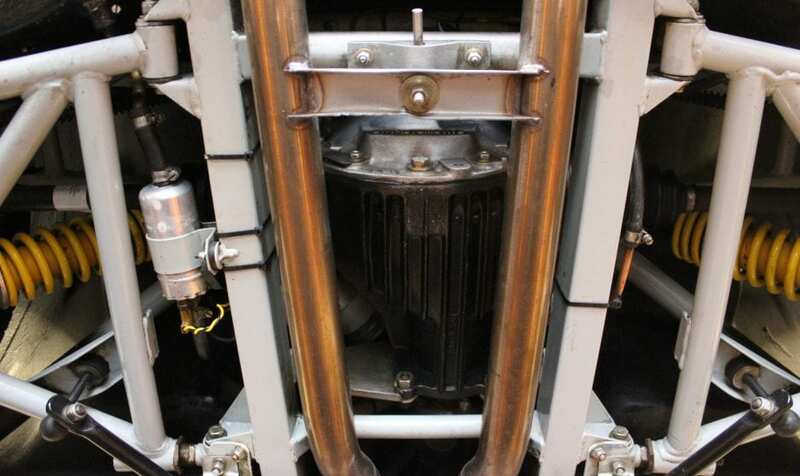 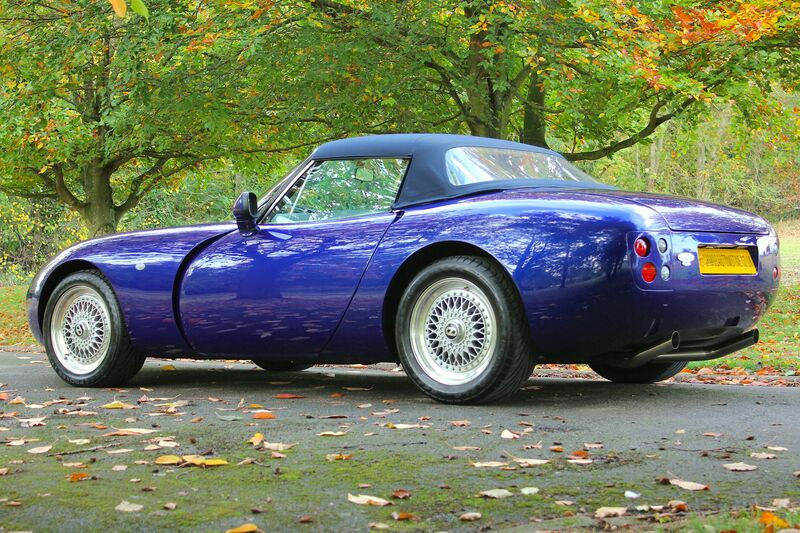 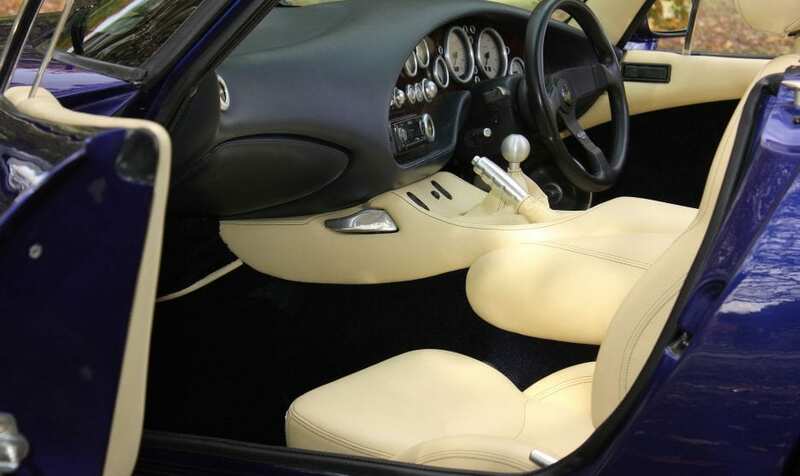 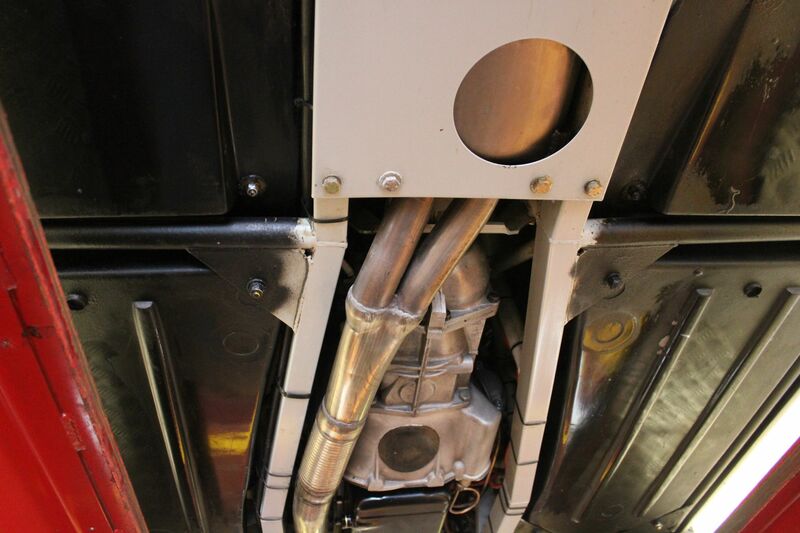 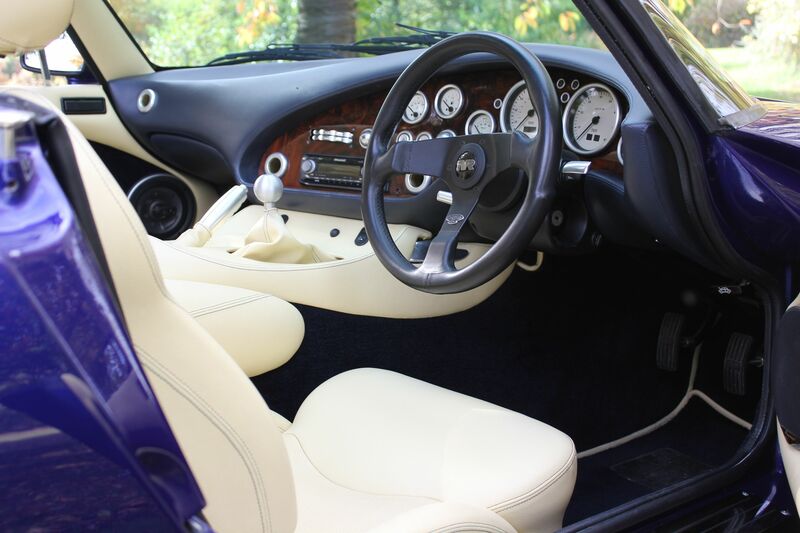 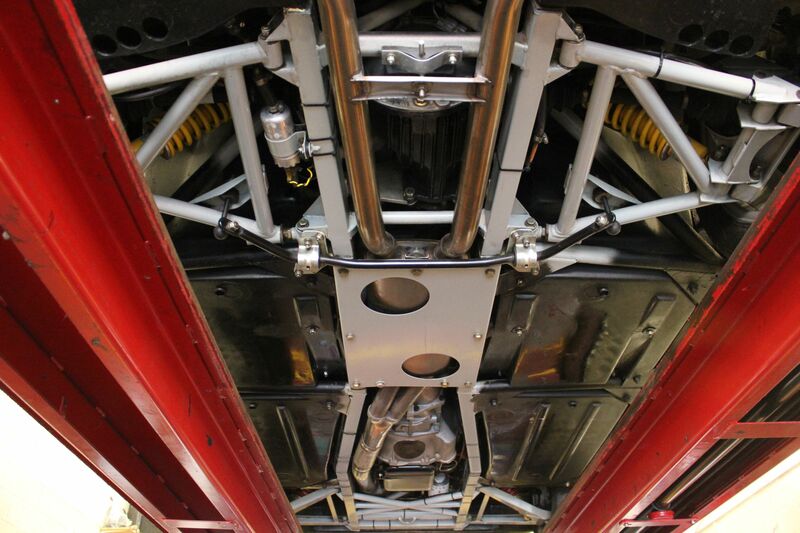 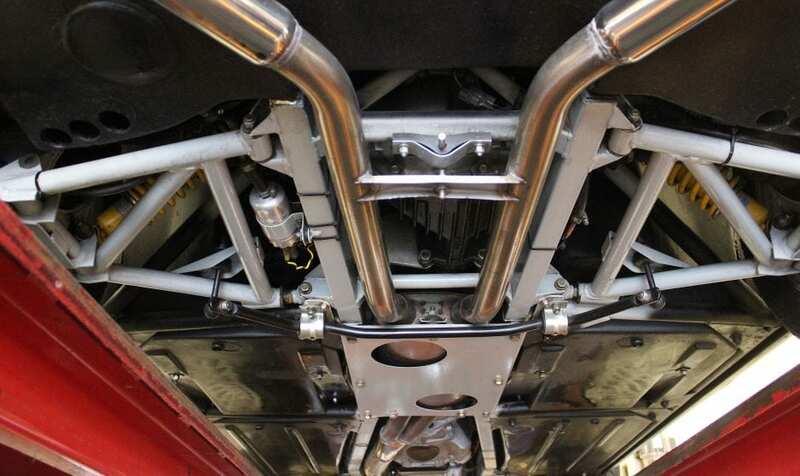 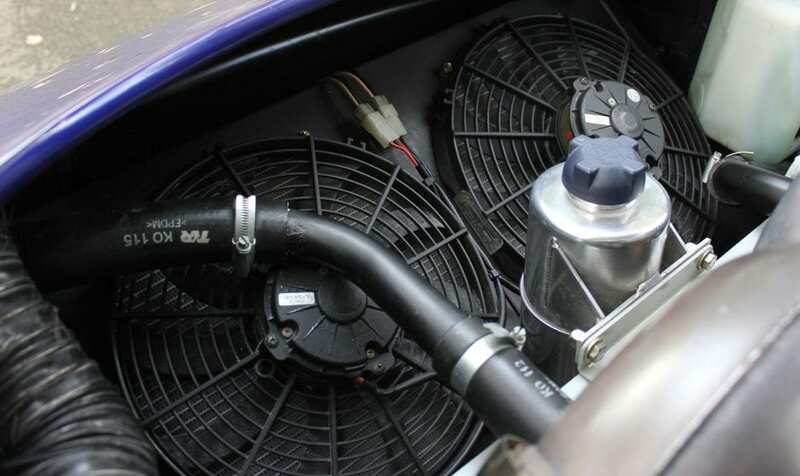 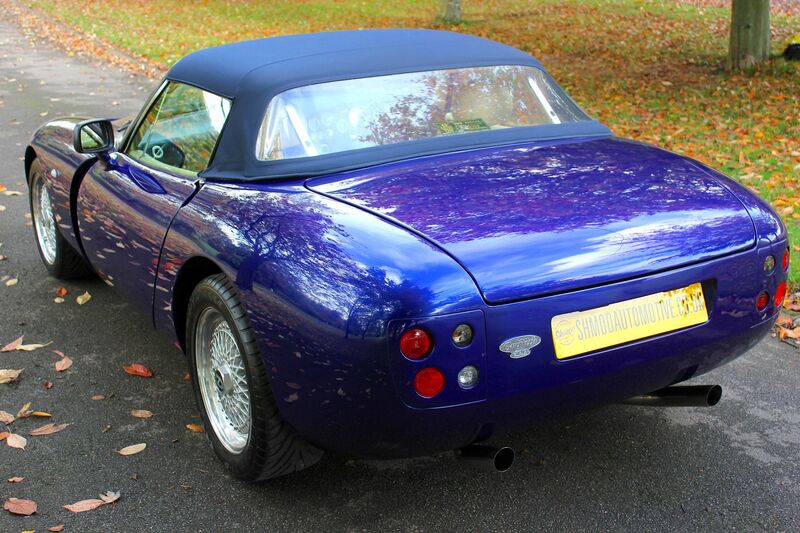 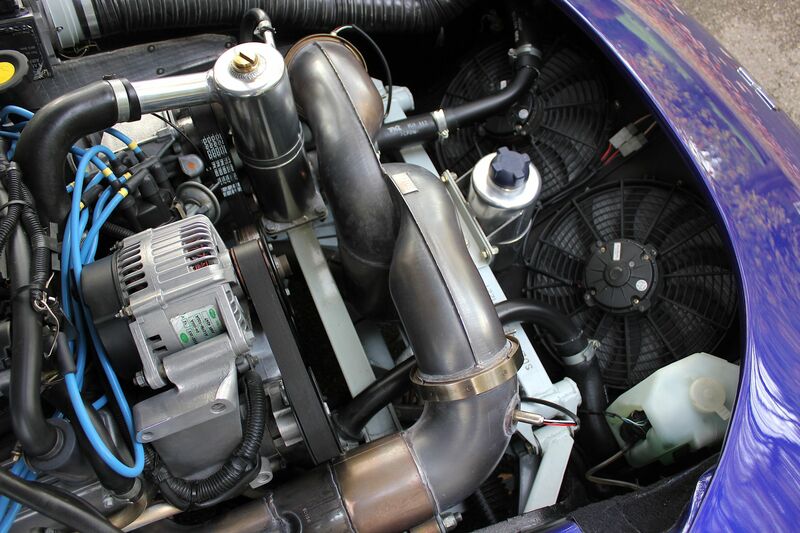 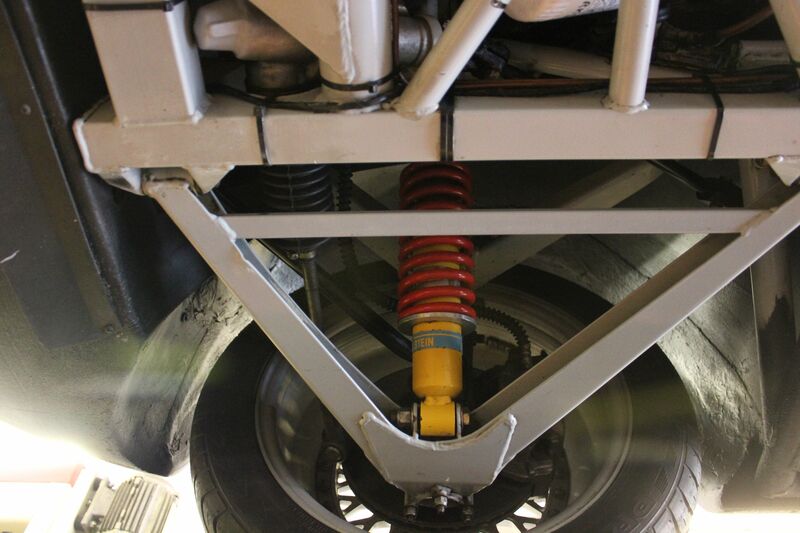 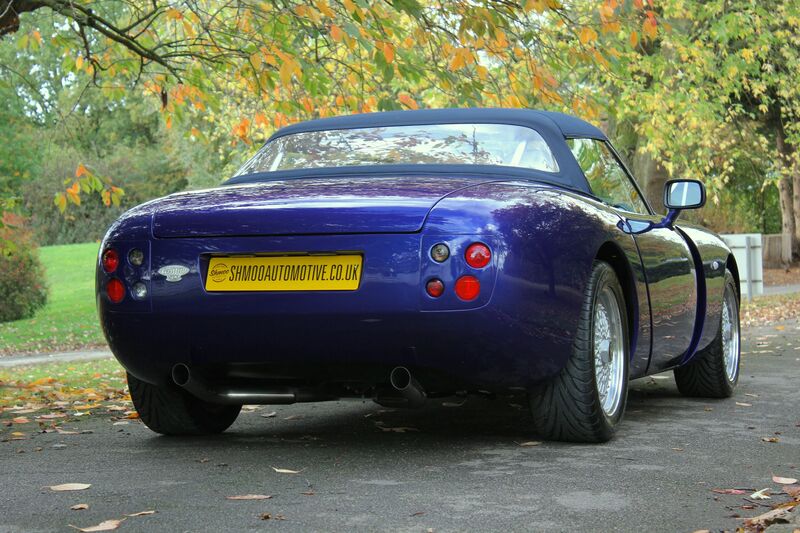 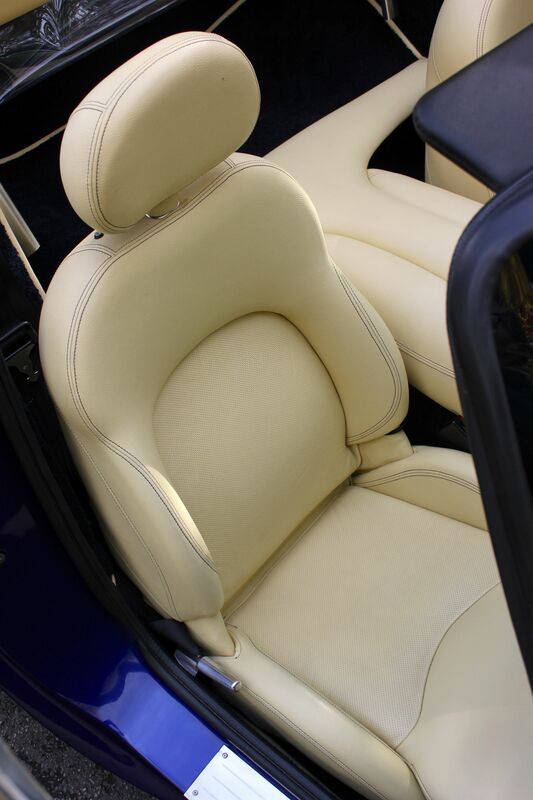 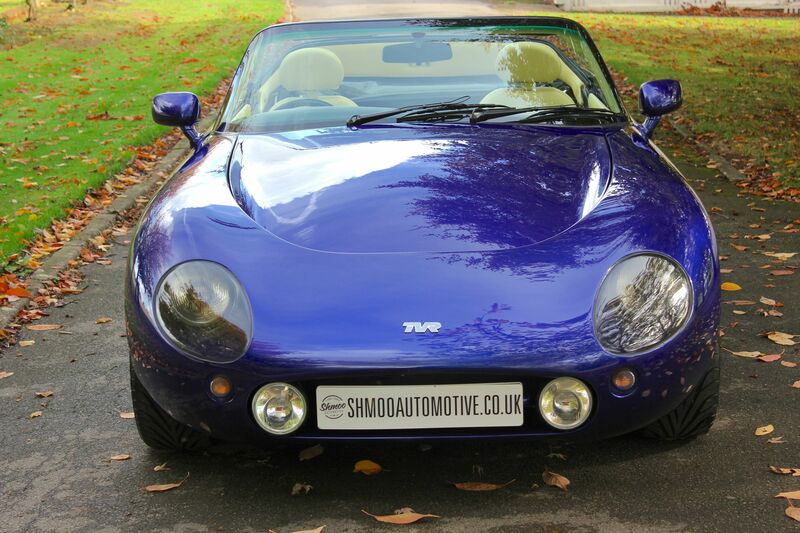 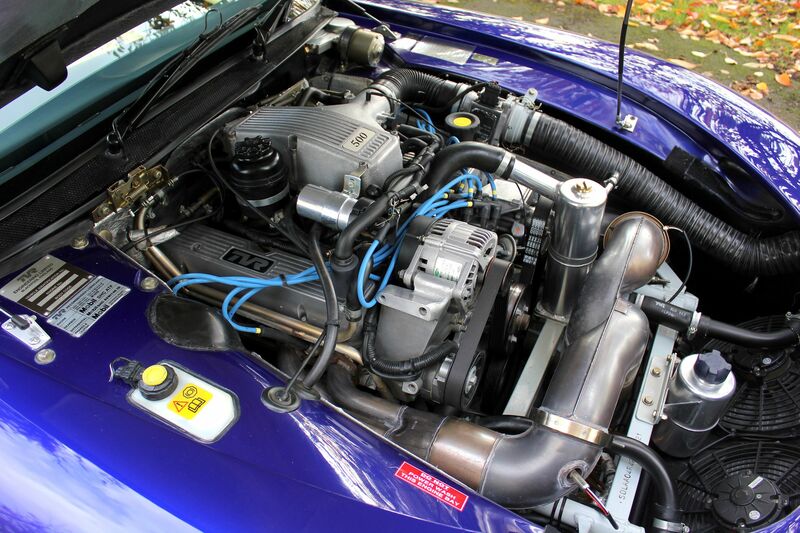 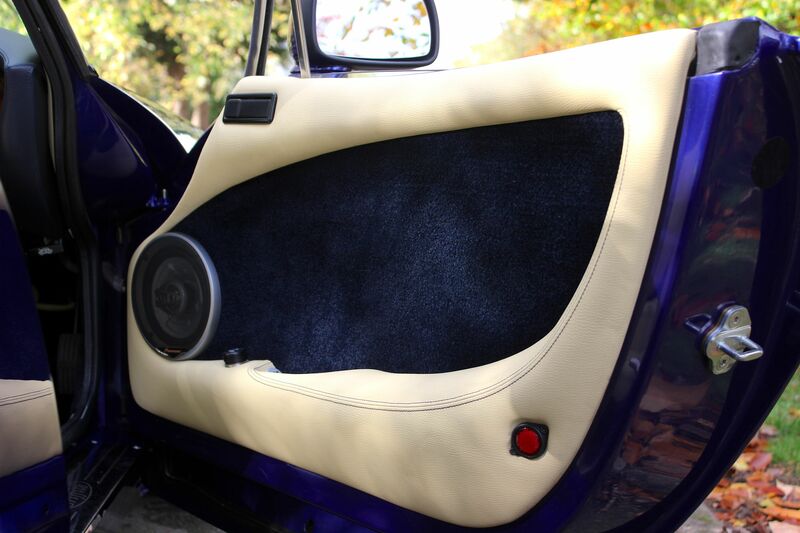 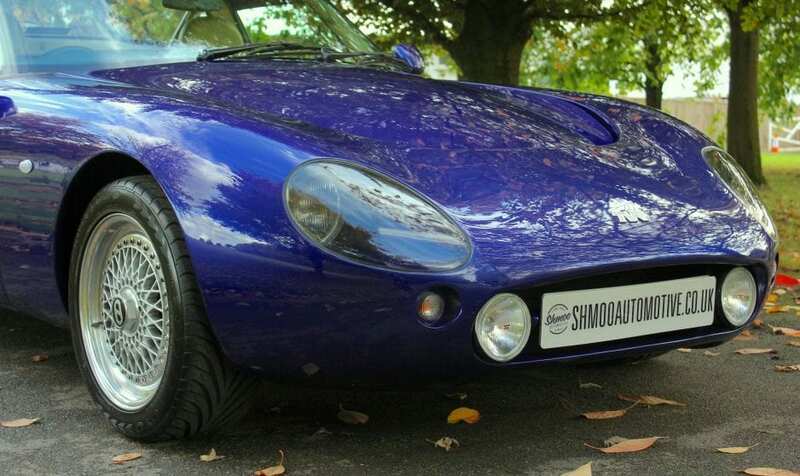 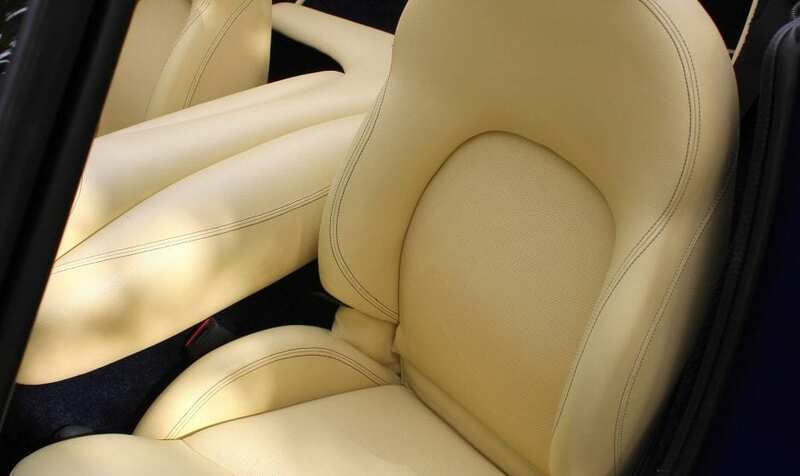 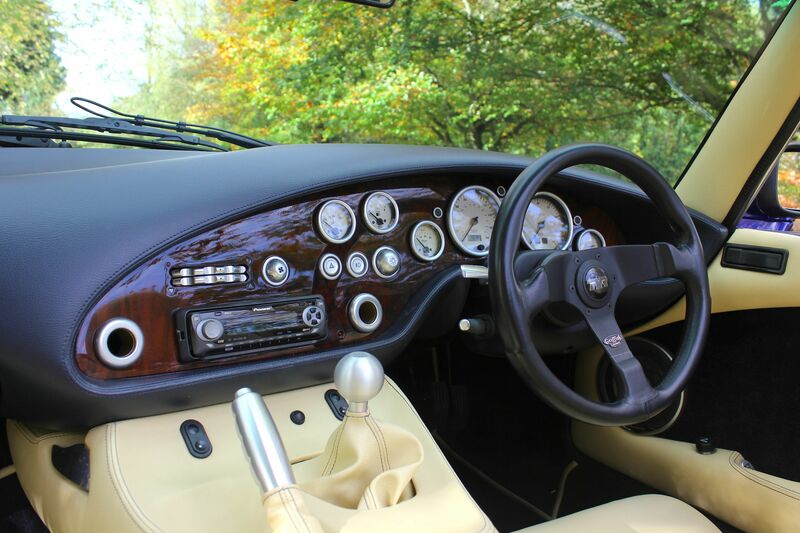 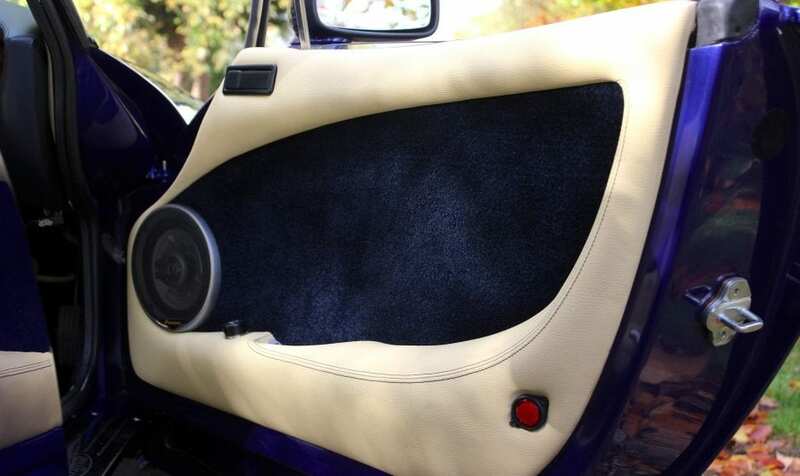 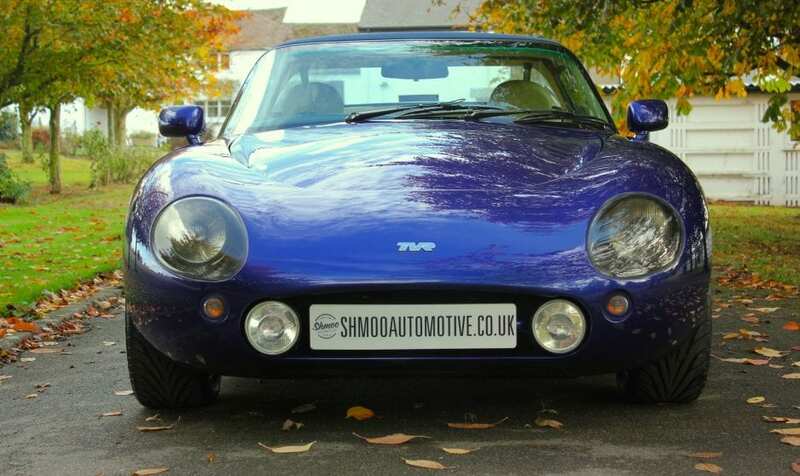 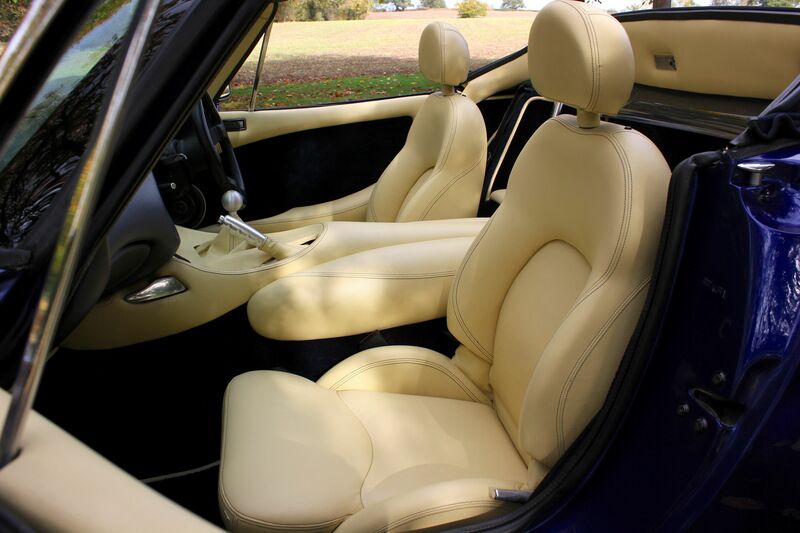 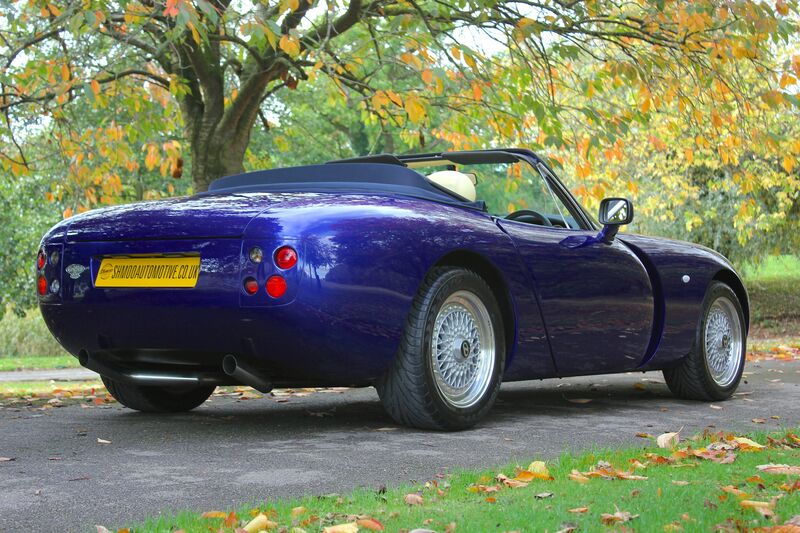 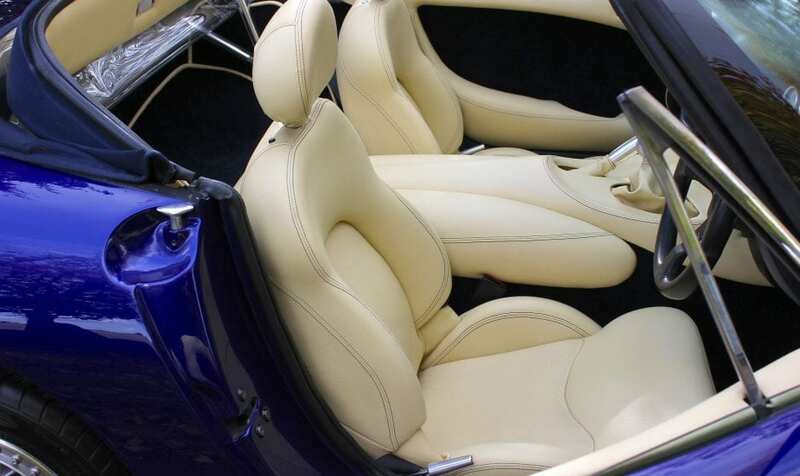 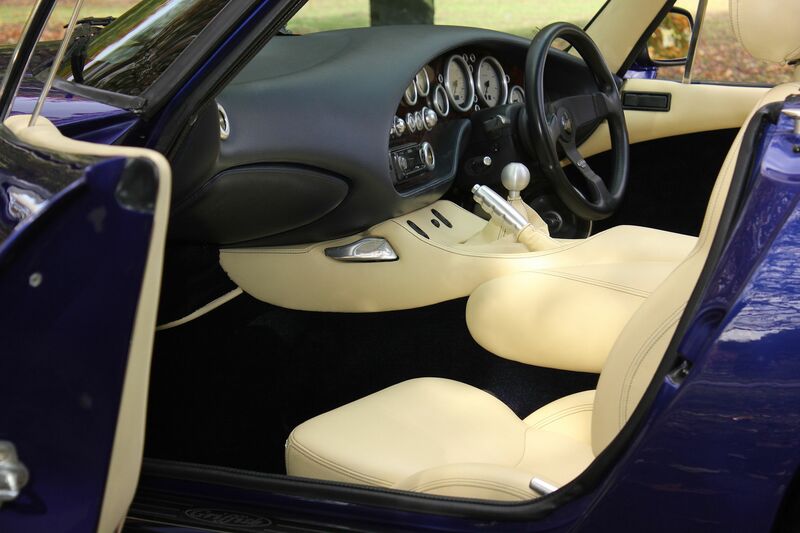 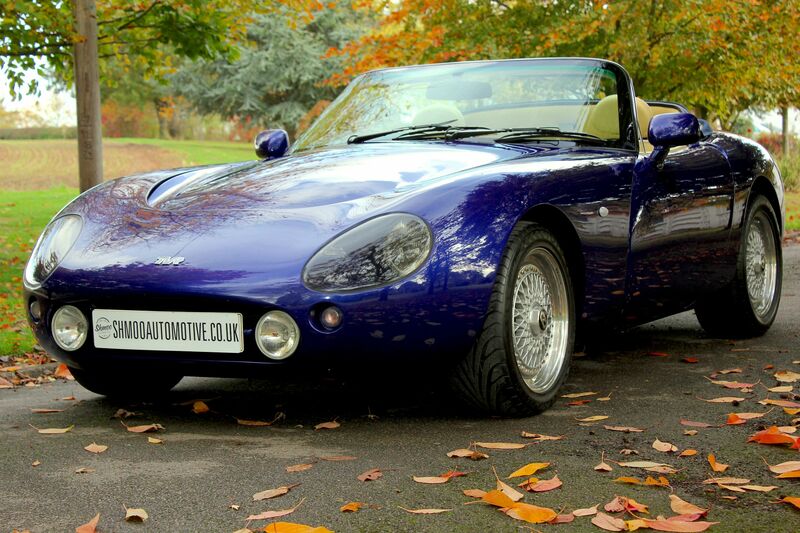 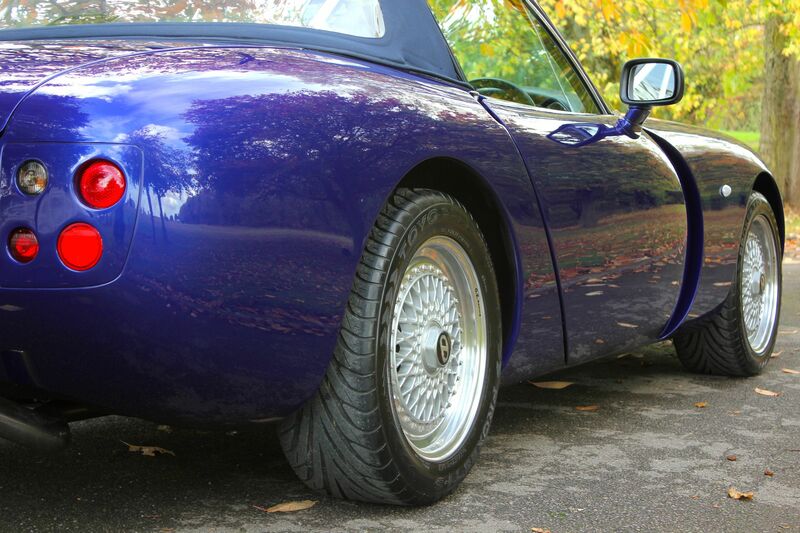 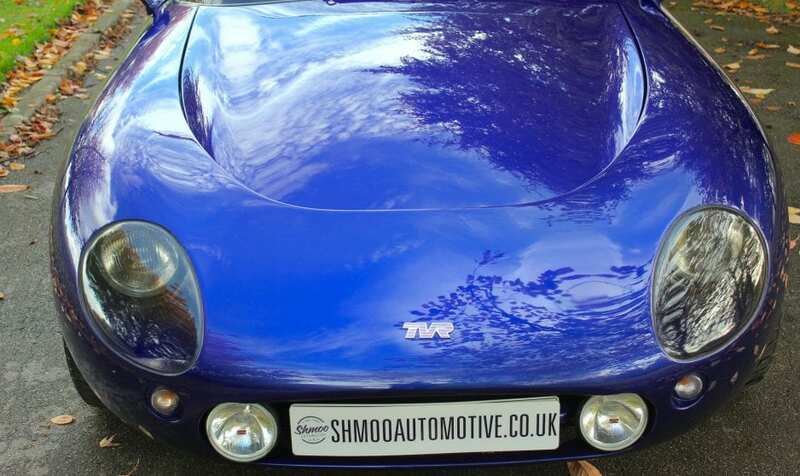 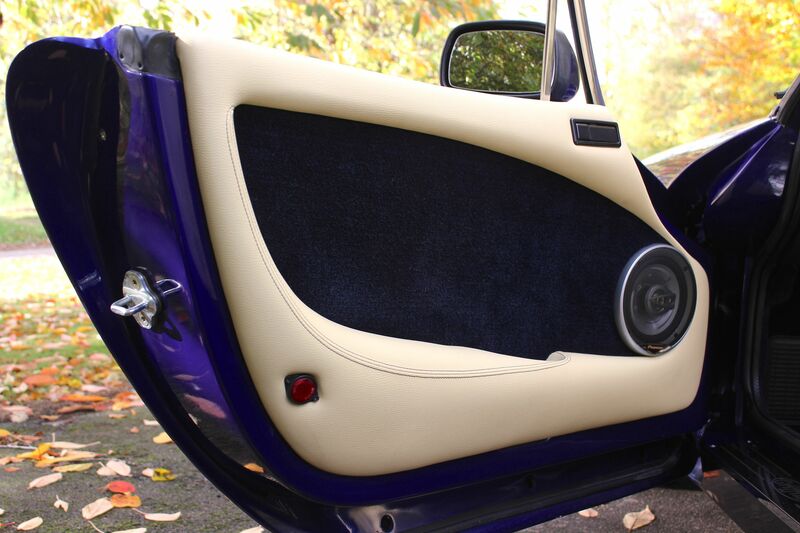 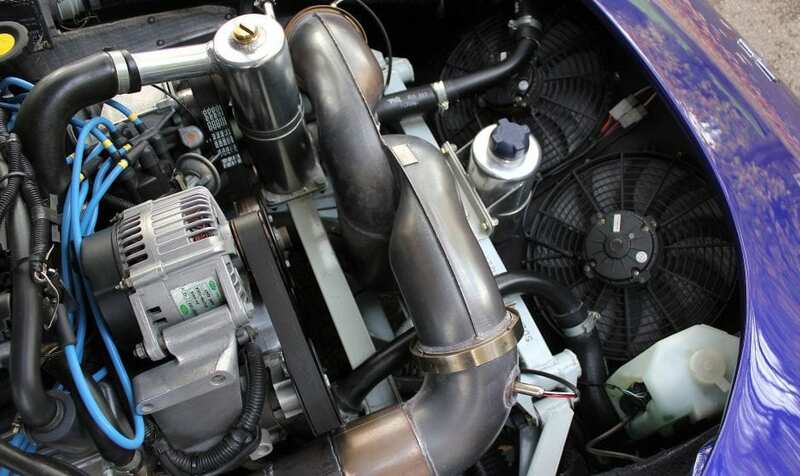 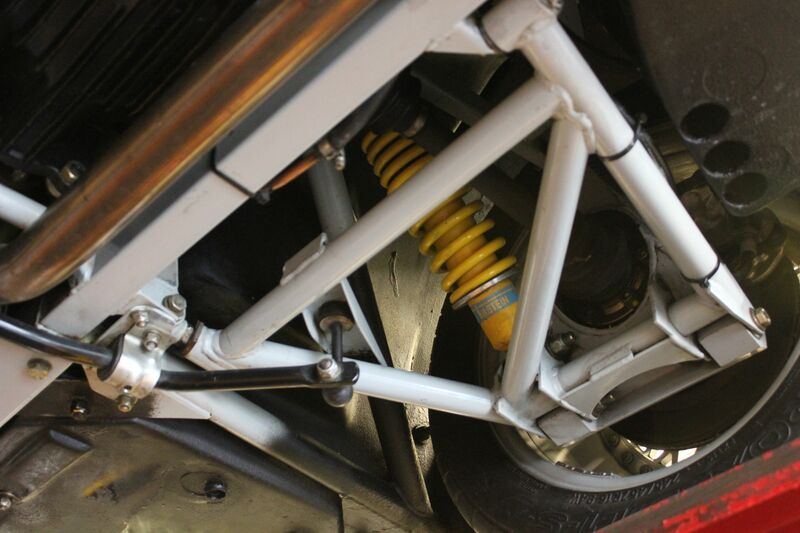 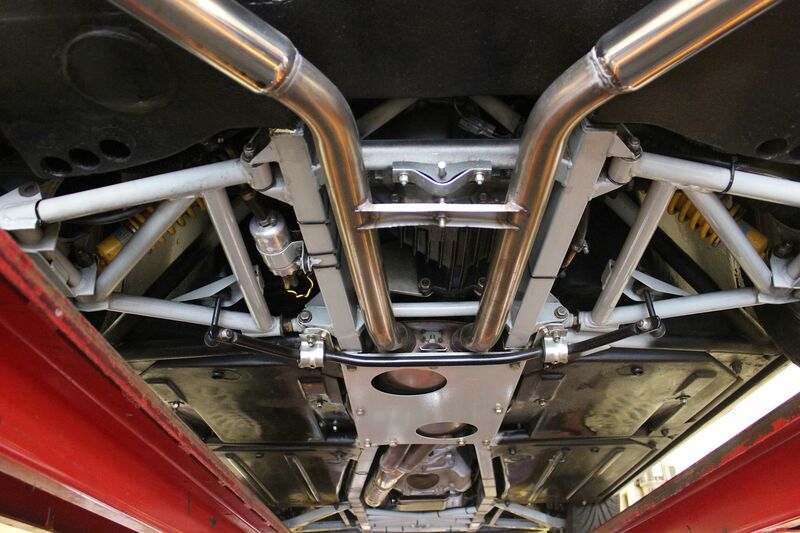 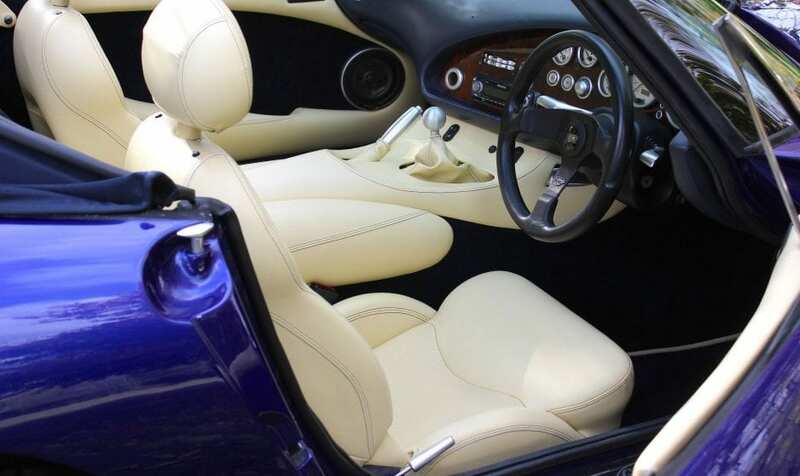 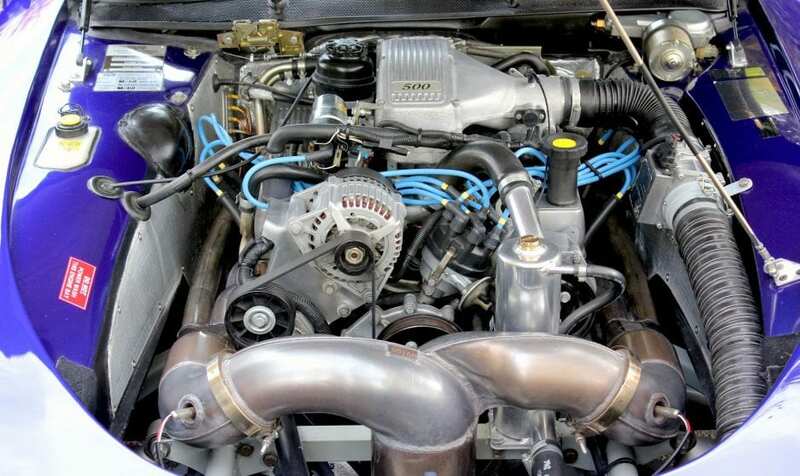 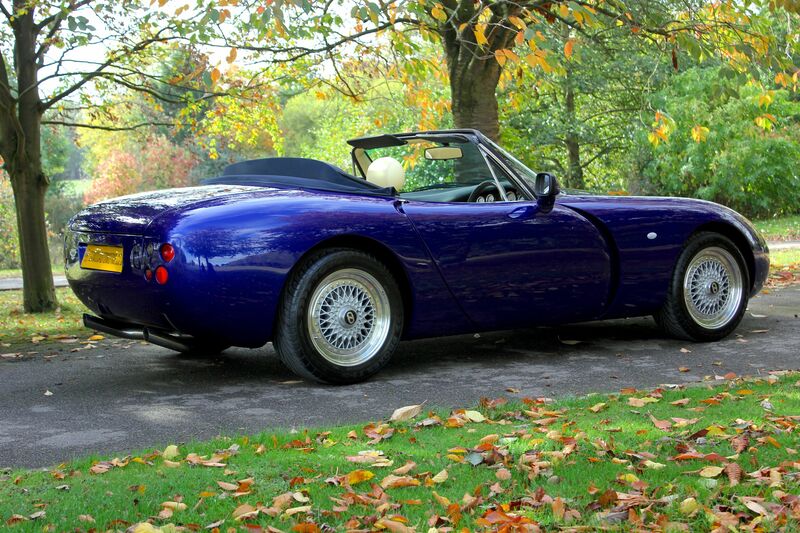 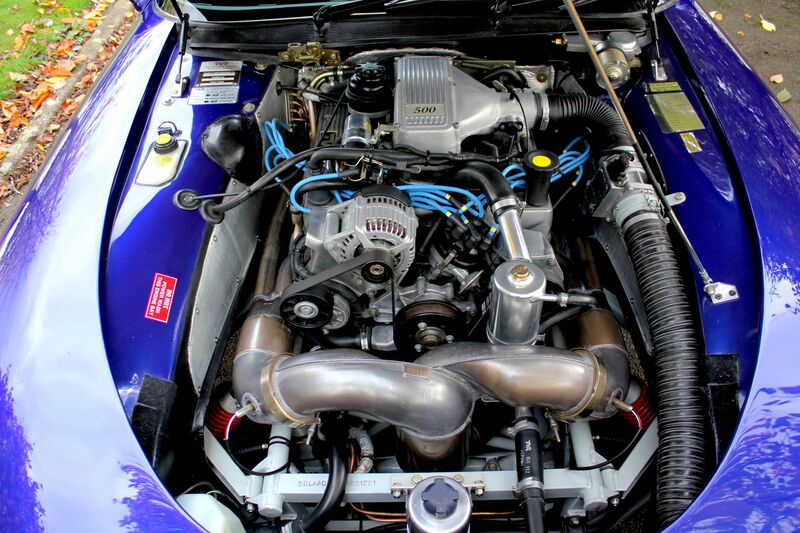 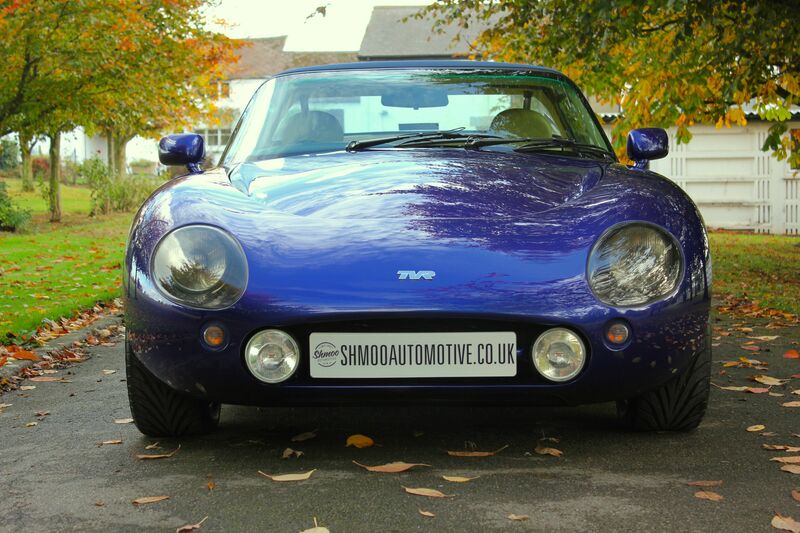 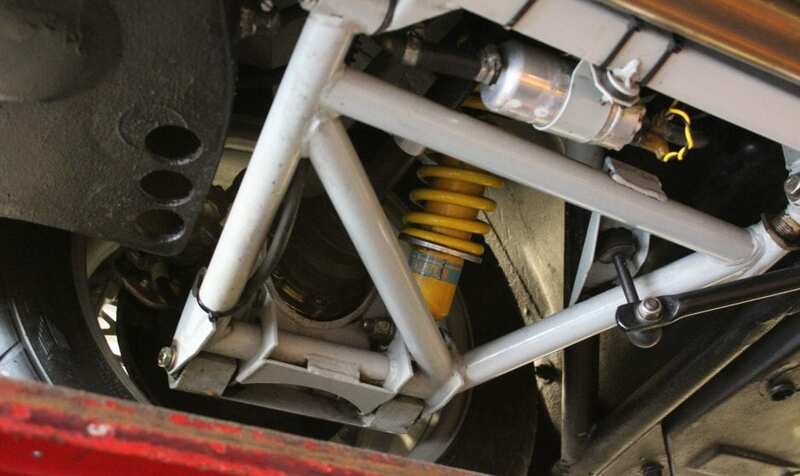 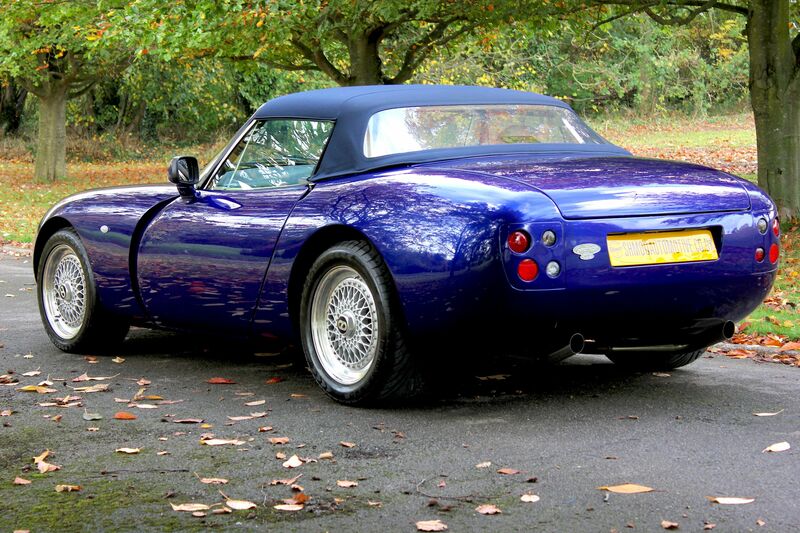 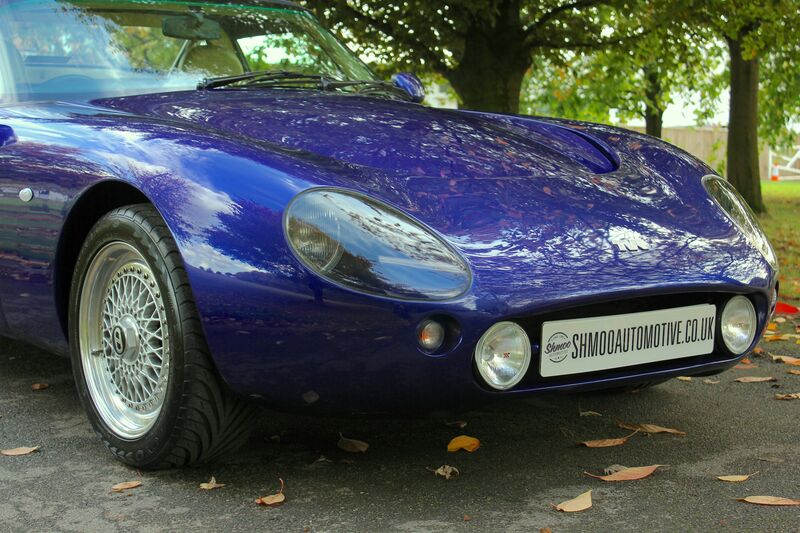 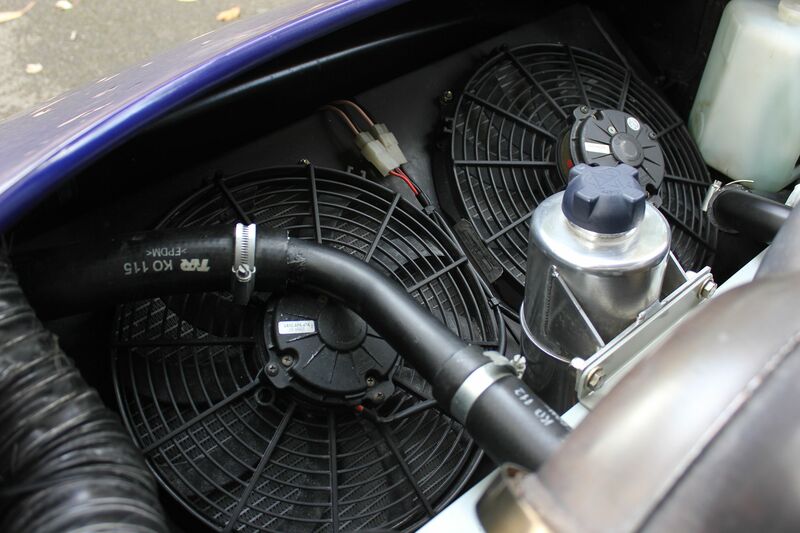 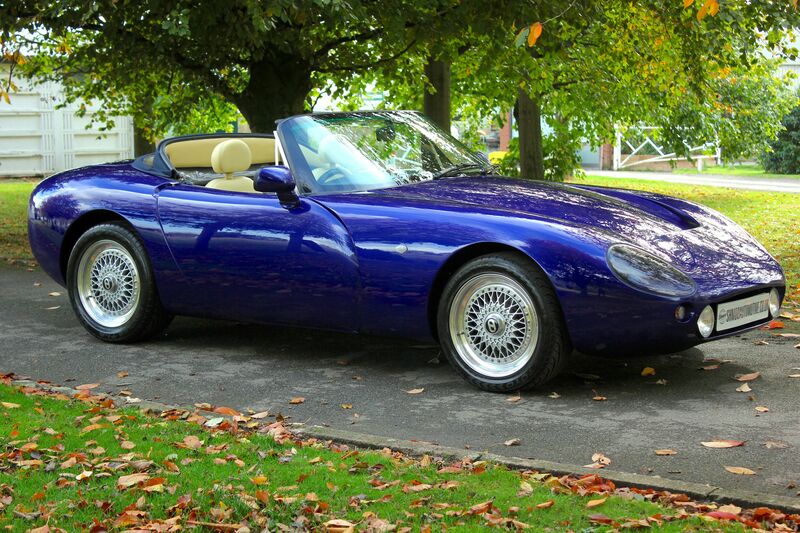 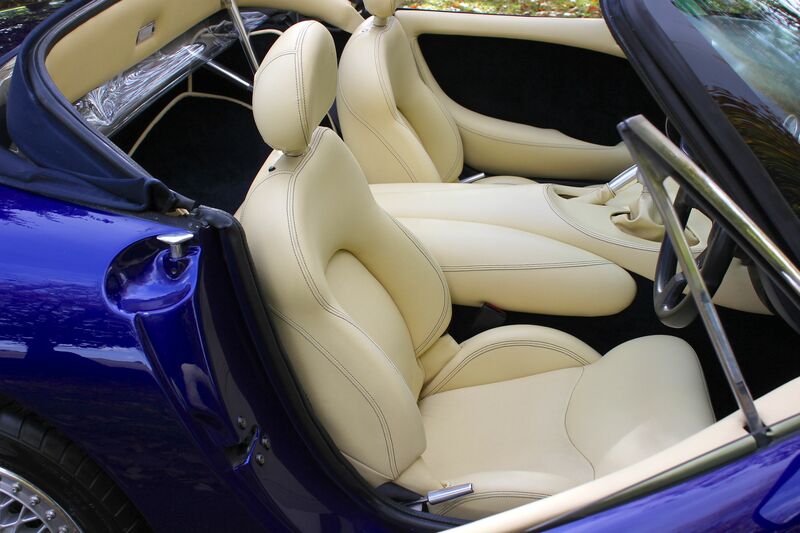 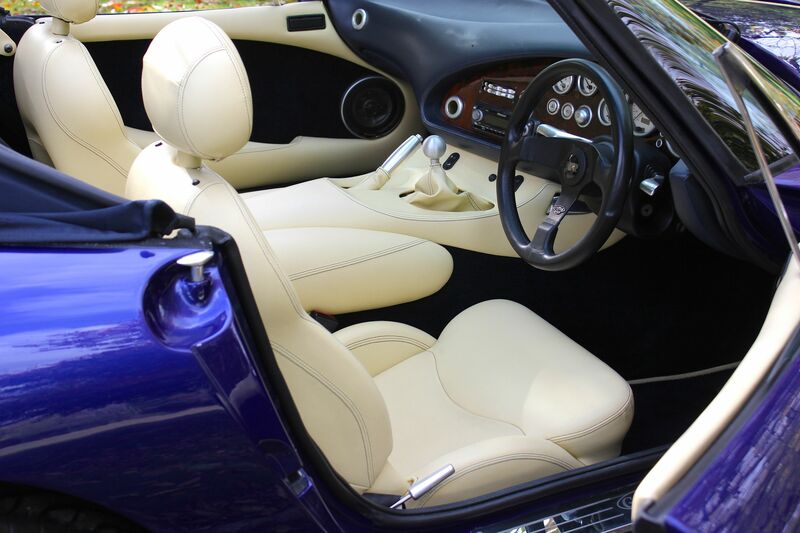 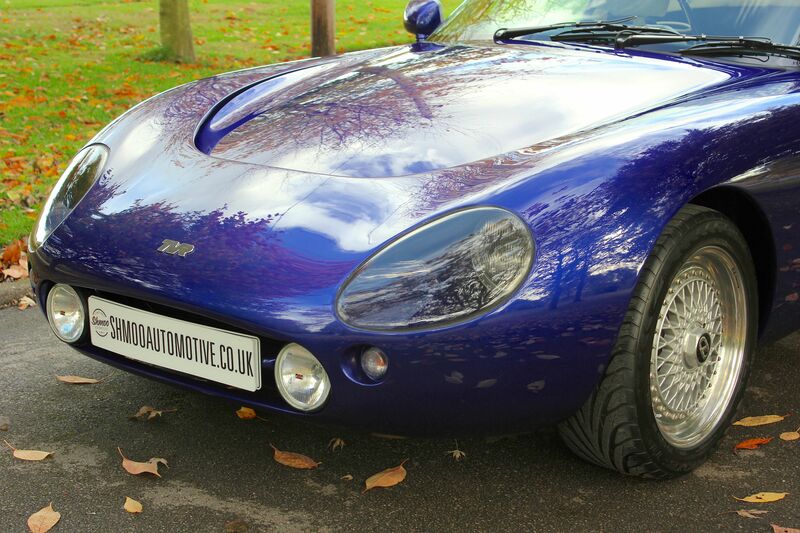 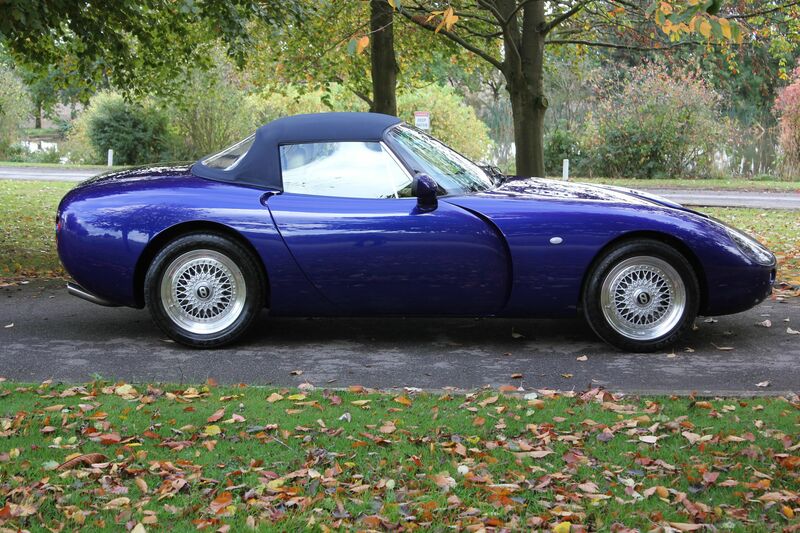 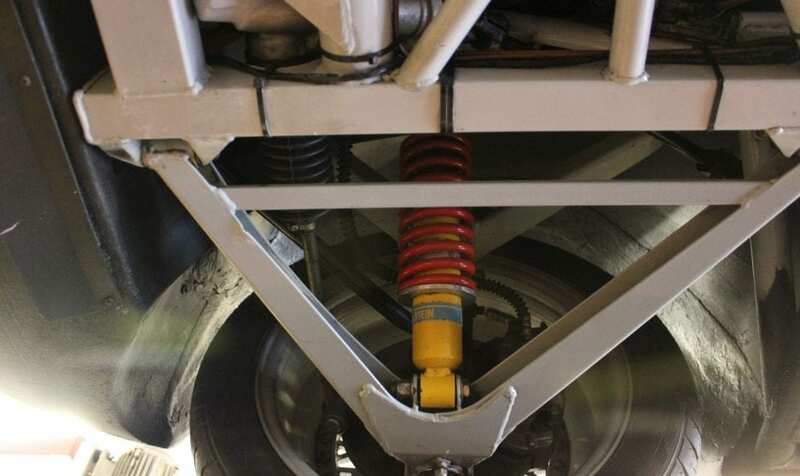 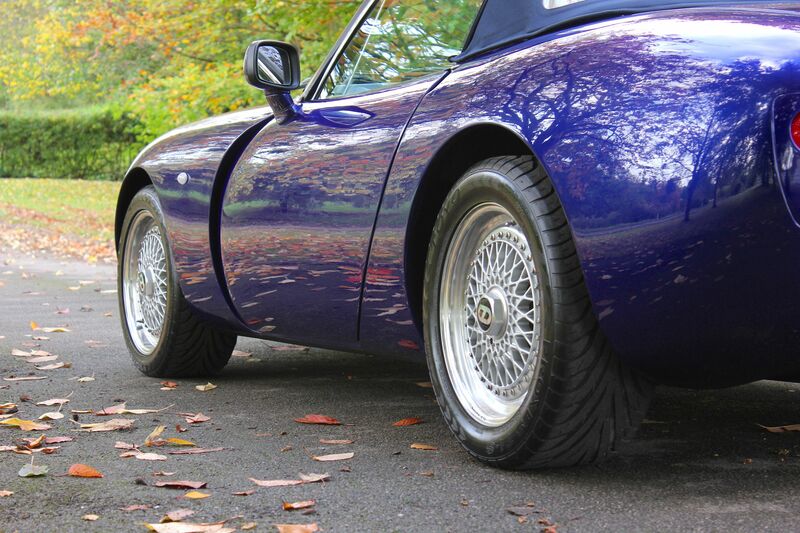 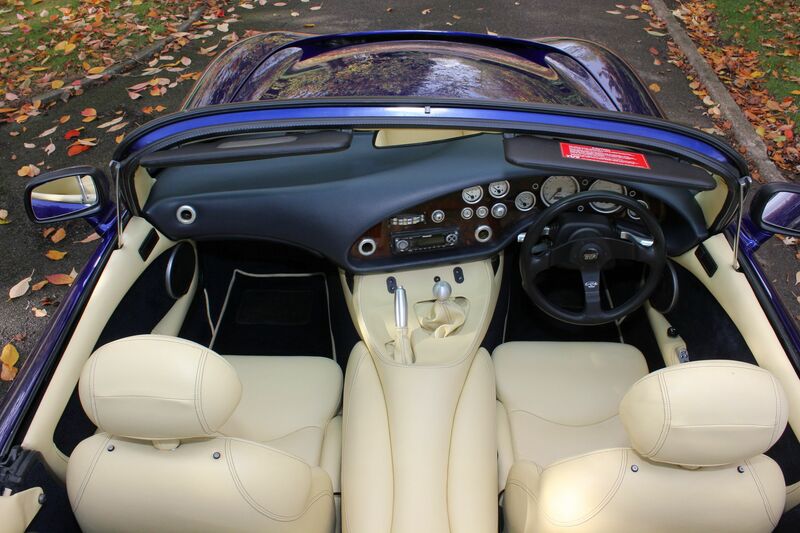 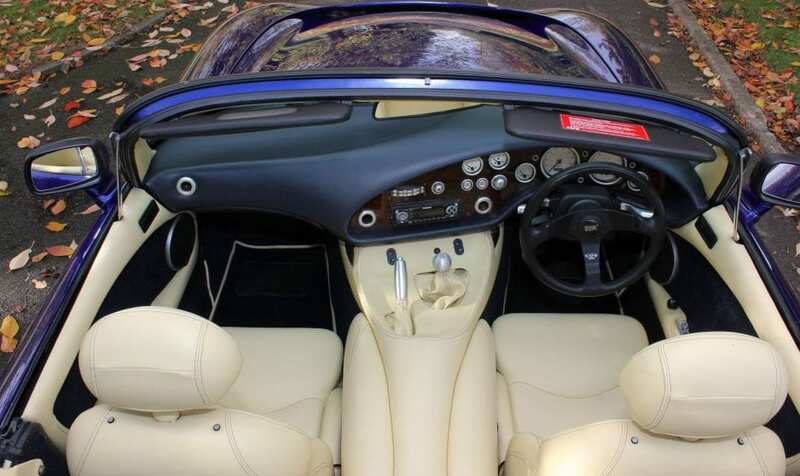 All service work has been completed by recognised TVR specialists (Mole valley, Racing Green, X Works etc). 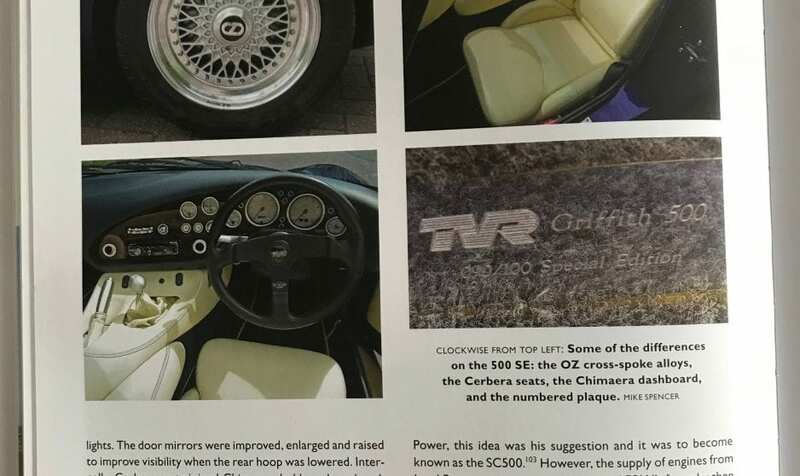 It was even trailered back to the Racing Green, when it was out in Spain for a couple of years. 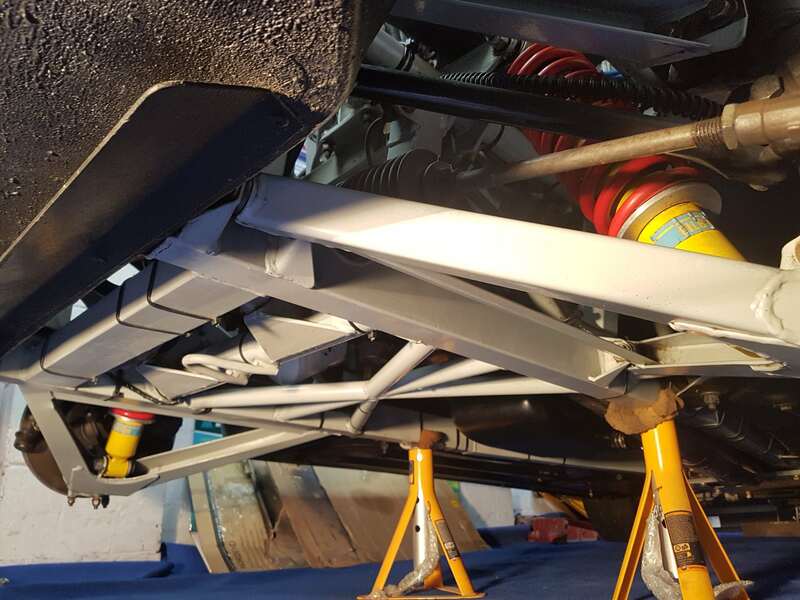 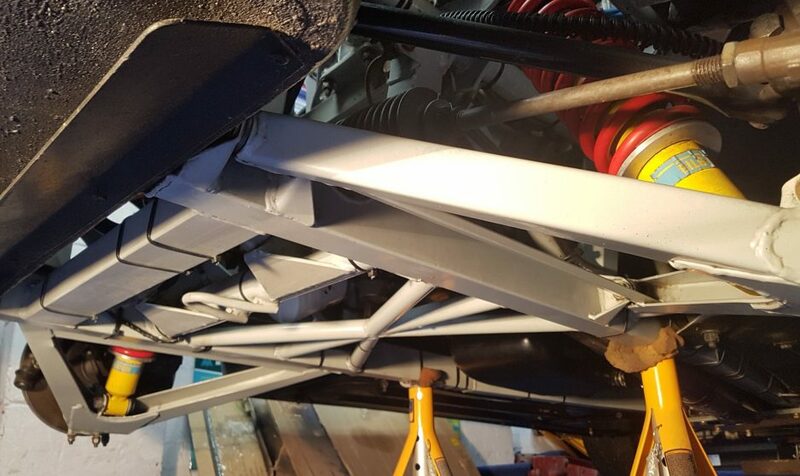 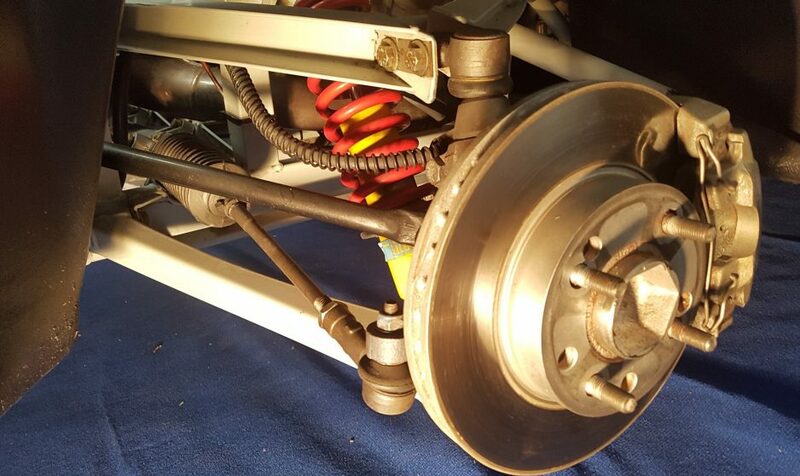 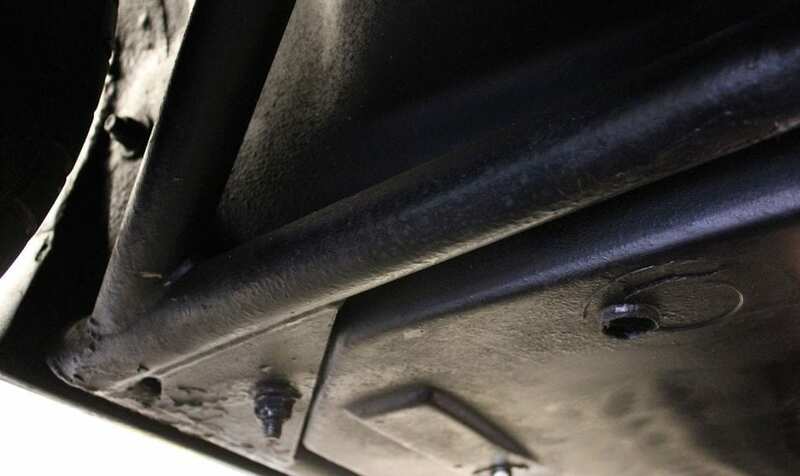 The latest service and checkover was just carried out by Heath at X-Works on the 7th of September and it has now just had a fresh MOT dated 16th Oct 2018. 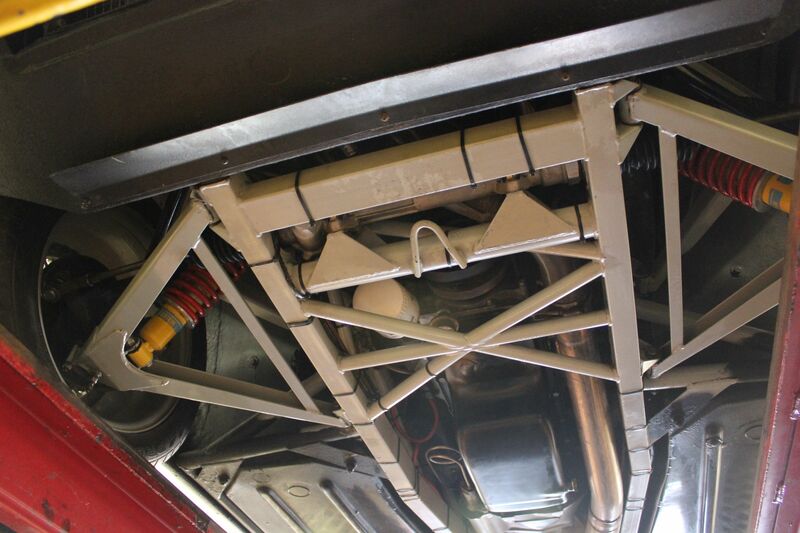 The car is now inside an airtent/bubble on trickle charge. 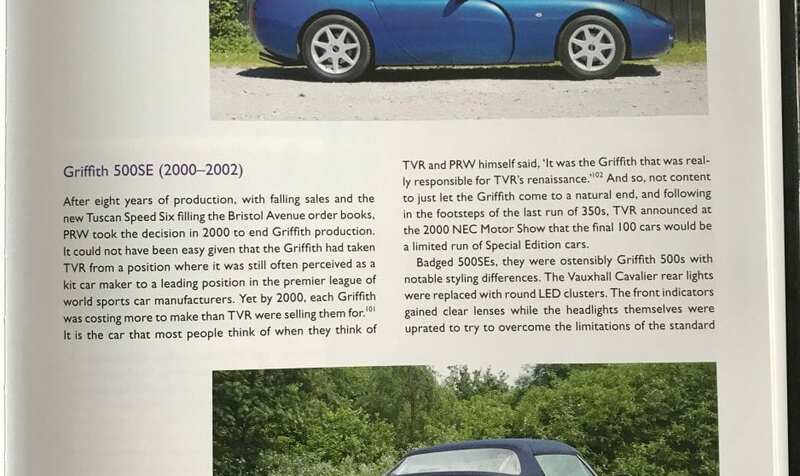 As well as all the service history, there is another file of brochures, Griff details, plus the Ralph Dodds book it’s been featured in.